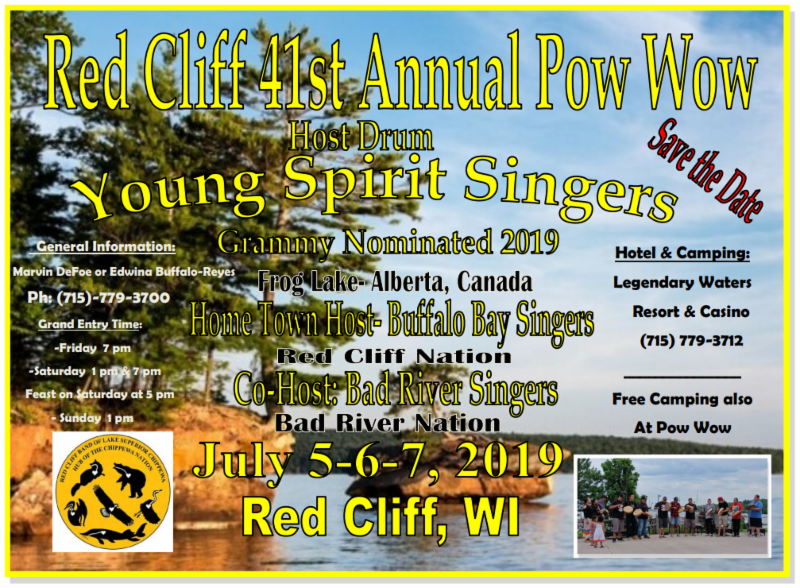 Have you heard what's happening in Red Cliff? 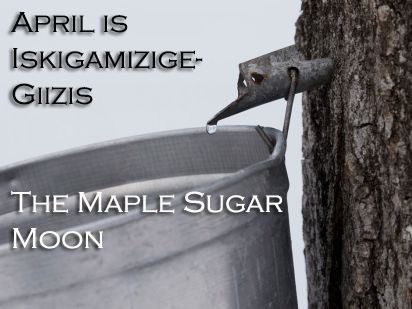 April is Iskigamigize-Giizis, The Maple Sugar Moon! 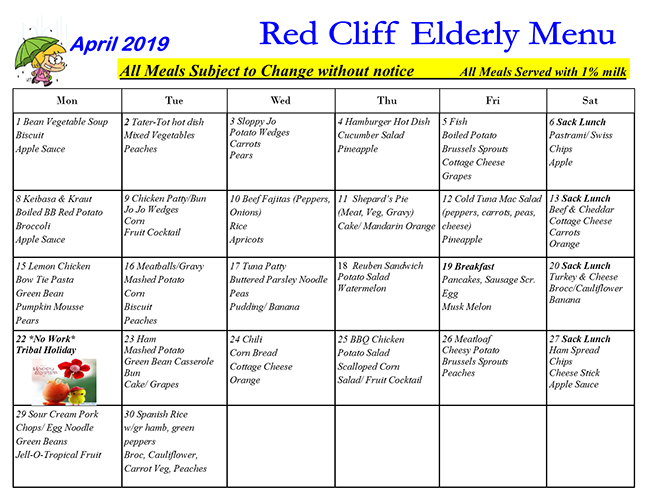 Check out all that's new in Red Cliff! 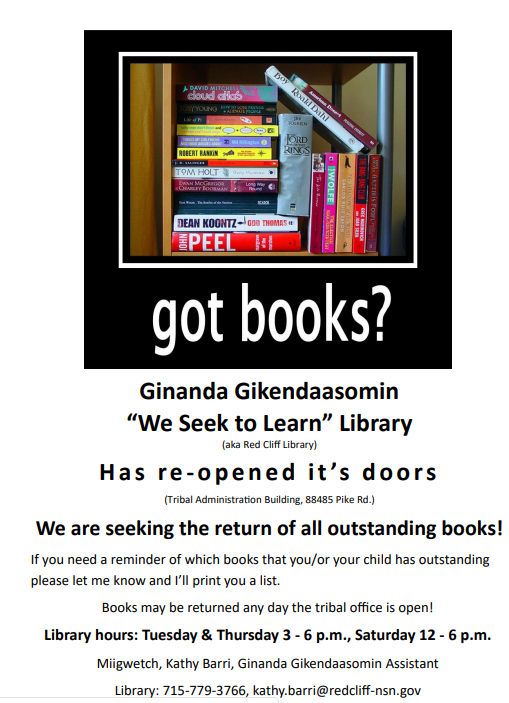 We welcome our readers to the Miisaniinawind! 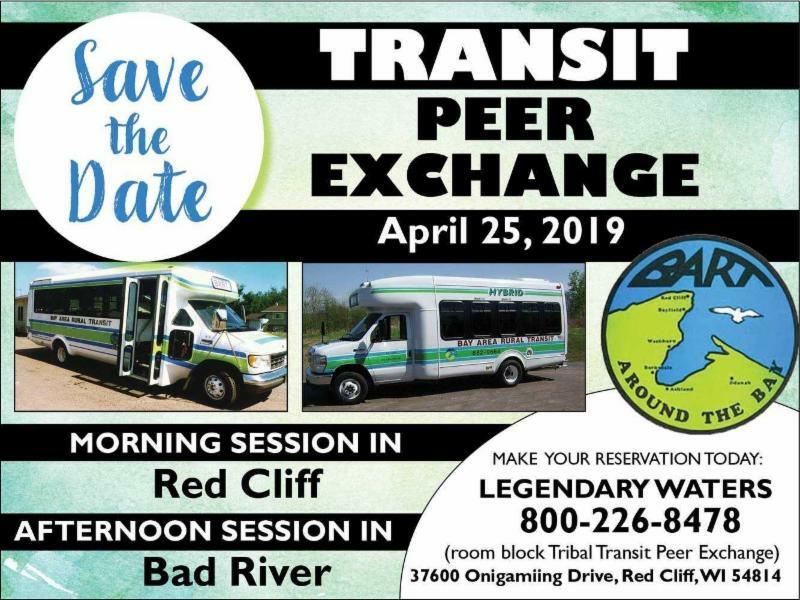 We are excited to connect with our community members and friends. 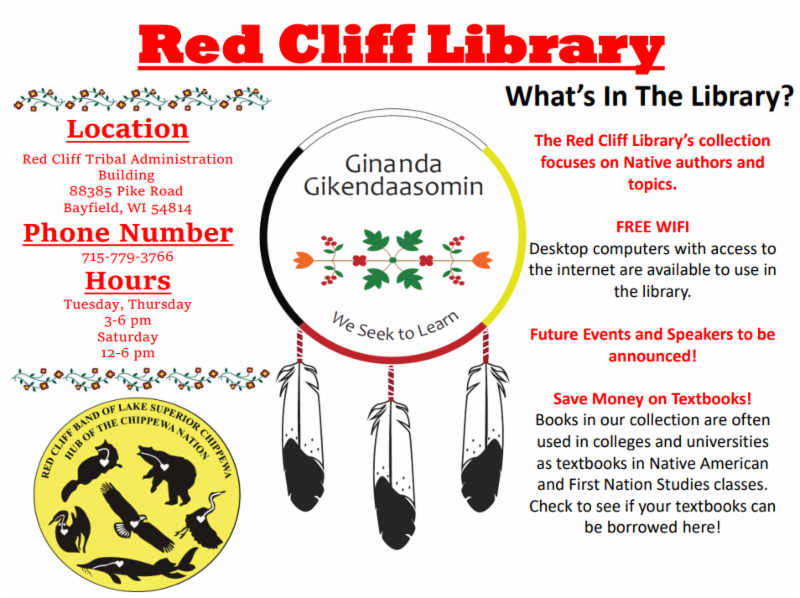 The Miisaniinawind brings you important news, announcements and updates, designed specifically for the Red Cliff community. But that's not all. 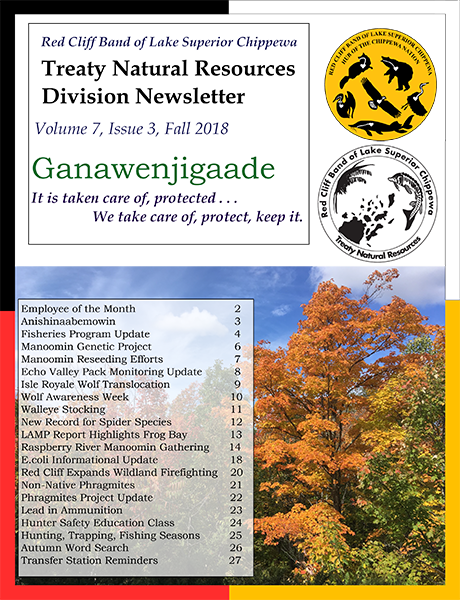 The weekly eNewsletter will also provide news about neighboring tribes, communities and broader issues that matter to you. 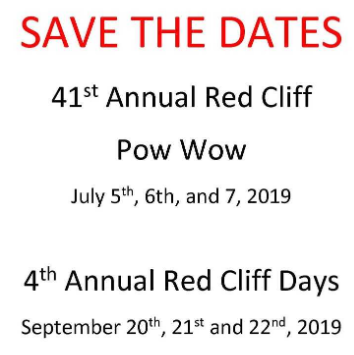 If you have photos, news or information you'd like to share, please email submissions to communications@redcliff-nsn.gov. 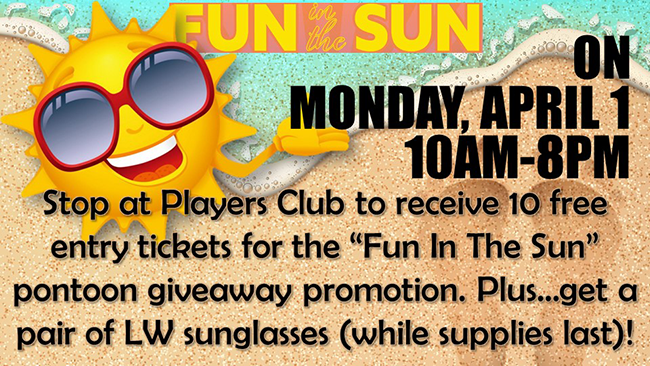 We hope you enjoy, and look forward to seeing you soon! 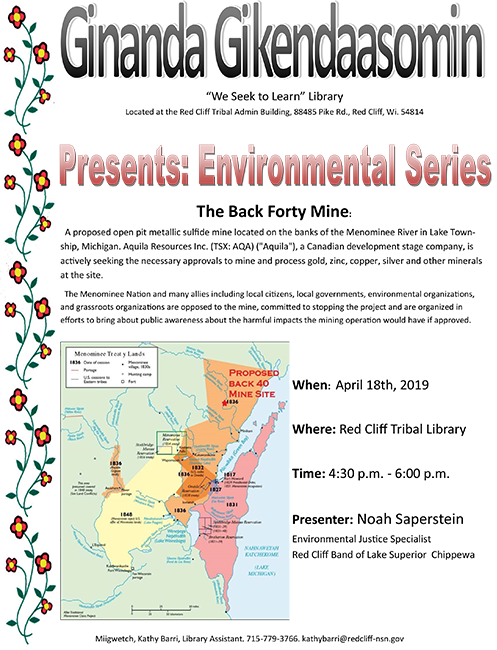 RED CLIFF, WI - It is ziig-wan (spring), the snow is melting, the iskigamizigan (sugarbush) is underway the ziinzibaakadwadwaboo (maple sap) is flowing! 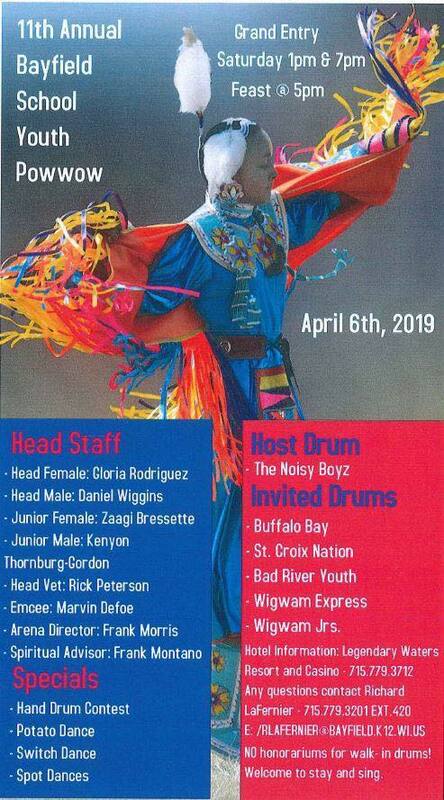 The Mino Bimaadiziiwin farm is working in collaboration with the School District of Bayfield for this year’s iskigamizigan. 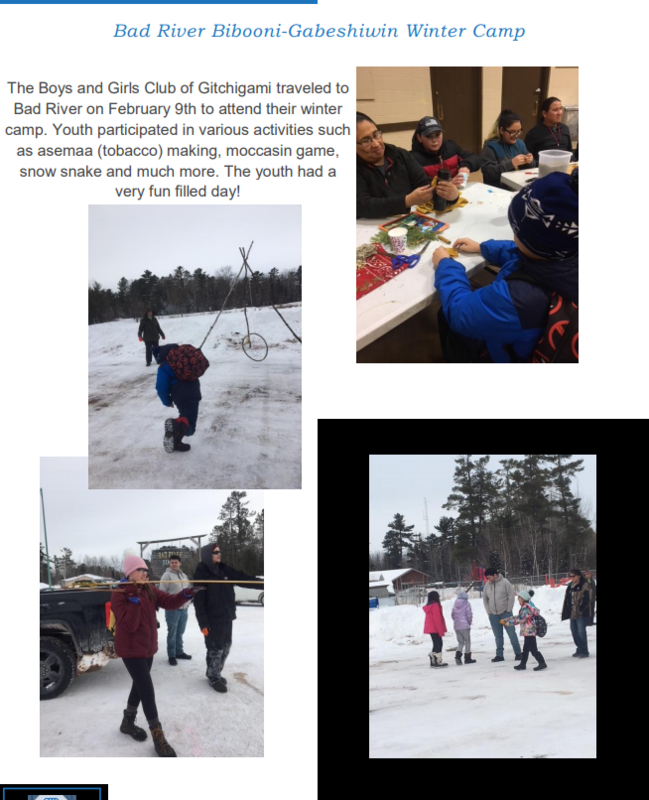 Through this project, the iskigamizigan will provide culturally inclusive and experiential ties to Bayfield’s Farm to School program. 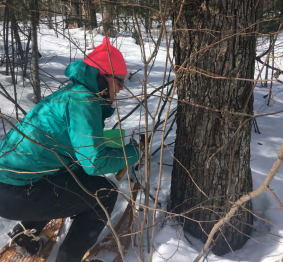 Classes from Bayfield will be taking field trips to the site throughout the season to help gather sap and learn about the process. Treaty Natural Resources division members worked together to tap over eighty trees in two locations. 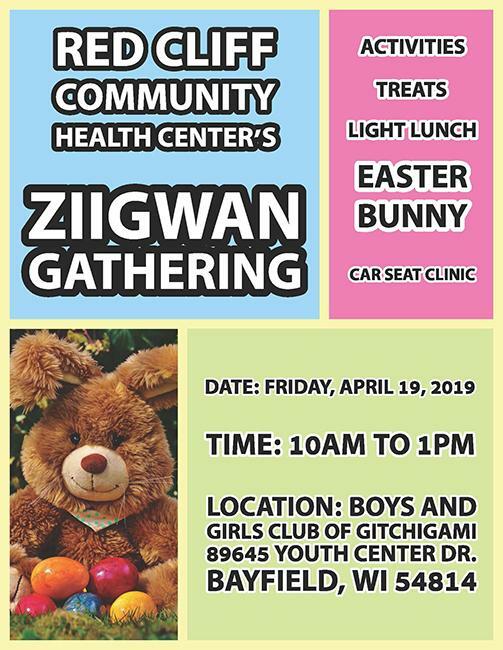 Zhiiwaagamizigan (syrup) produced will go toward Farm to School efforts, as well as the tribal farm and volunteers. 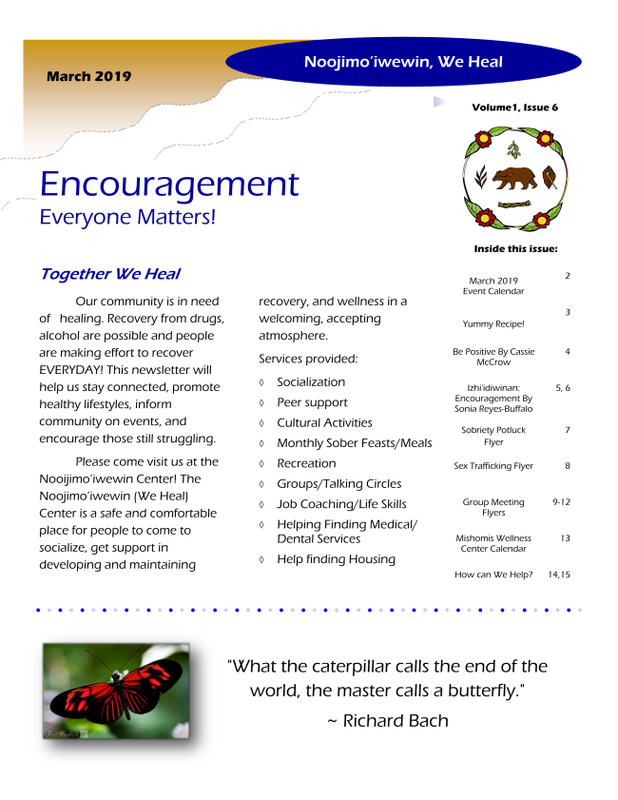 Miigwech to all who are helping to make this first year a success! 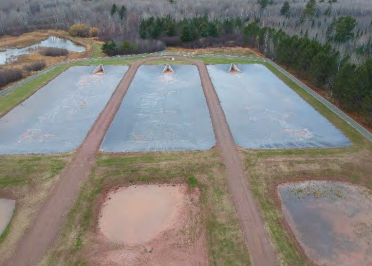 Pictured above: Completed ogaa ponds project. 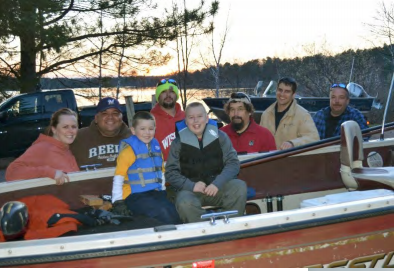 Pictured above: Previpus year ogaa stocking with the assistance of a local lake association. 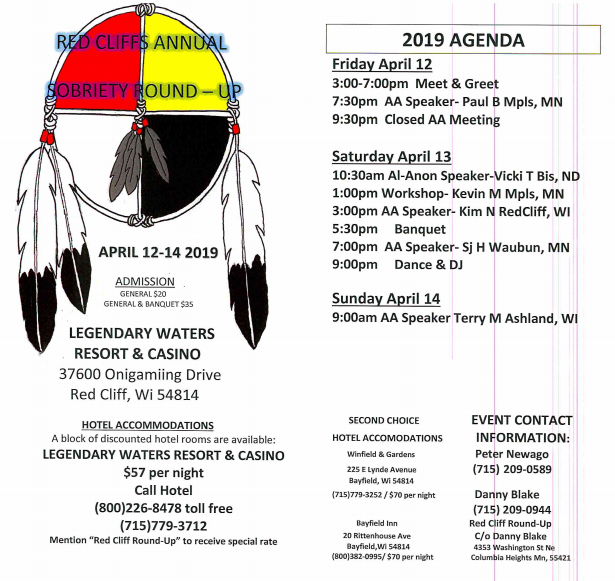 RED CLIFF, WI - Boozhoo everyone, it is almost that time of the year where everyone should be getting their anit (spears) sharpened, jiimaan (boats) ready and lights shining bright. 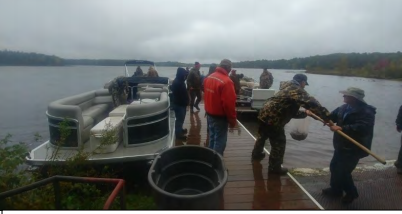 If biboon (winter) ever decides to let up it will be the period to harvest ogaa (walleye) in no time. Making certain your anit are sharp, jiimaan are water ready, and lights are bright will all ensure you have successful harvest. 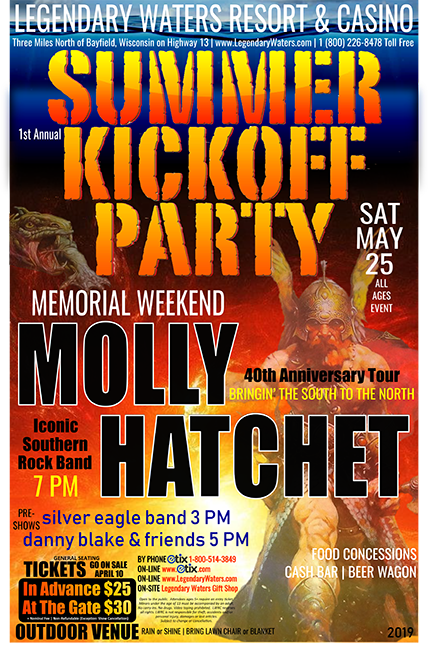 The hatchery will be preparing for the ogaa as well. It has been two years since ogaa have been reared at the facility and we are ready to get back in the game. Our ponds have been redone and we are anxious to get out ogaa in them to see how they do. Our ponds are now furnished with liners to combat our previous nuisance gitigaazh (plant) growth while also providing a more suitable growing environment for ogaa. A new chain link fence has also been installed to help keep out nuisance awesiinh (wild animal). We hope to have no more issues with miskwaadesi (turtle) and others who have caused problems in the past. The gate for the entrance into the ponds area is now locked and we hope to keep people out of this area for safety concerns. However, if anyone is curious to see the ponds in action this year please stop at the Hatchery office, on HWY 13, and ask to see the area. Staff here will be happy to bring you back to the ponds to show you what takes place back there, but please do not go back to this area with out the assistance of any TNR staff. 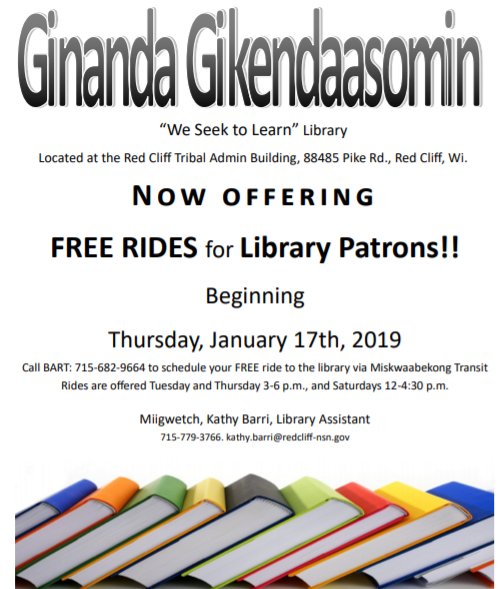 Miigwech (Thank you) for your cooperation! I am very honored and humbled to have been selected as the new Tribal Planner. I come into this position subsequently to some excellent and skilled individuals and thank them for the work they have done in this department. 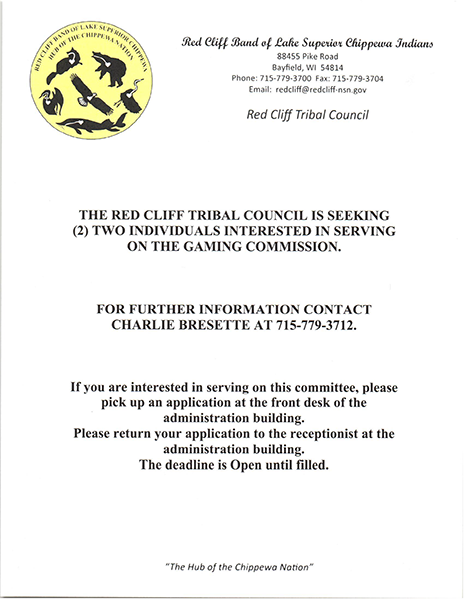 I am a Red Cliff tribal member, raised in Red Cliff on Pike Road; my parents are Brian and Paulette Bresette. 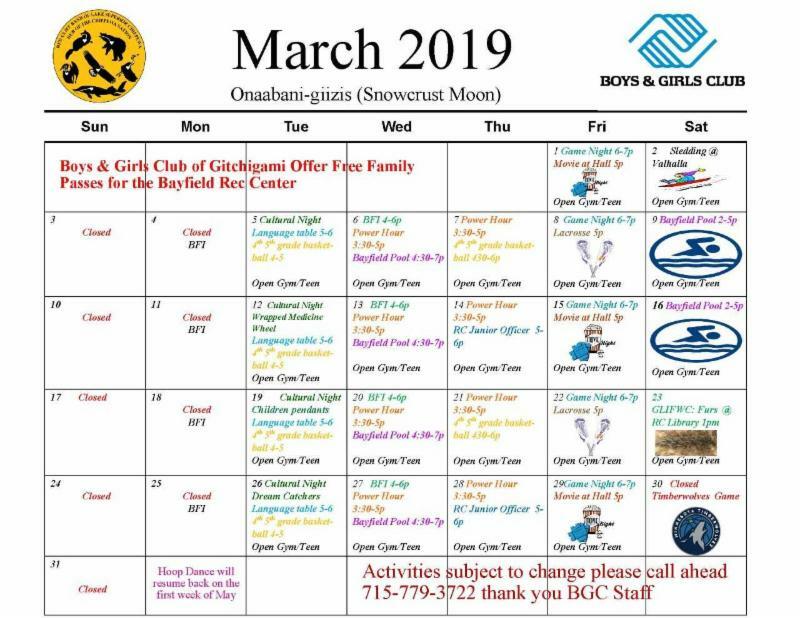 I worked at the Buffalo Bay Store under the Basina’s ownership from 2004-2009, for the First American Prevention Center in 2007 and for the Red Cliff Early Childhood Center from 2008-2019, gaining so much knowledge about our community from each entity. 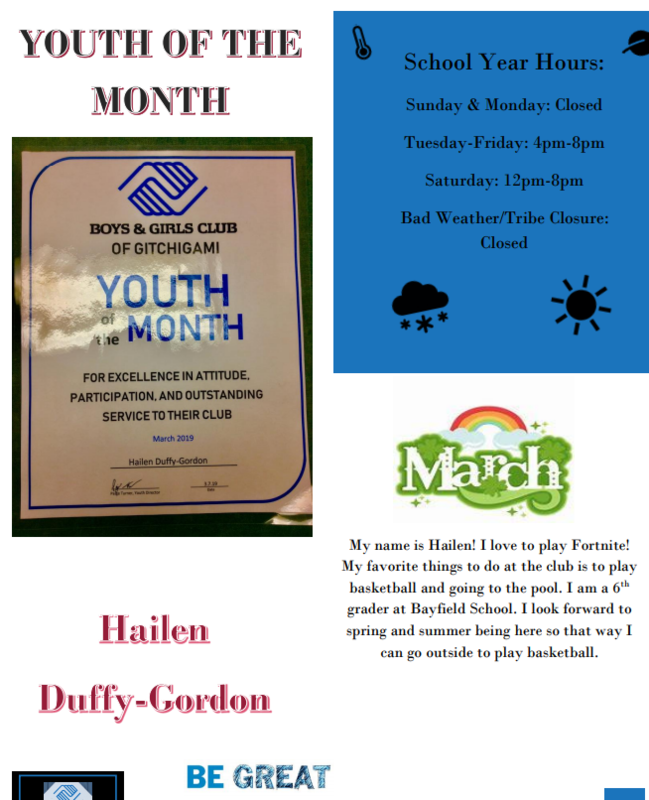 During this time, I also started a family (my husband is Daryl Boyd and our two children are Alexia and Davis); went to college (associates degree from LCO College in Human Services, bachelor’s from UWS in Social Work and master’s degree from UMD in Tribal Administration and Governance); built a house and am engaged in many community functions. 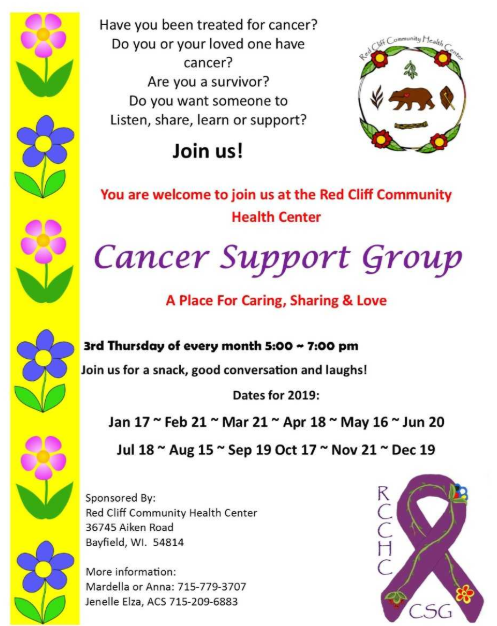 I am currently an elected board member for the School District of Bayfield and on the health board for the Red Cliff Community Health Center. 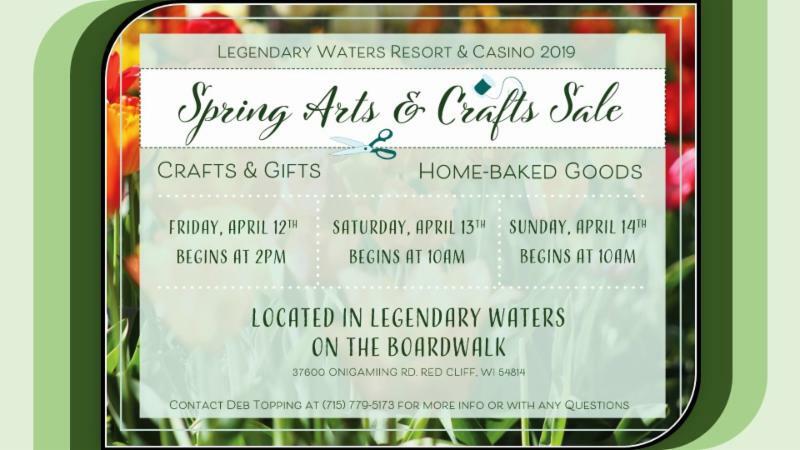 I am passionate about giving back to our community and helping be a part of making Red Cliff the best place to live and thrive. I look forward to this journey and am blessed to be moving forward with the Tribe in this position. The IT Department would like to welcome Libby Aufderheide into the position of IT Infrastructure Specialist. She will be taking over for Tom Gary who retired in February. Libby has been in IT for her entire career and brings the tribe skills in Computer Networks, Document Design/Management, and Technical Support. We will see her around the Tribe repairing equipment, installing gear, and running wiring. 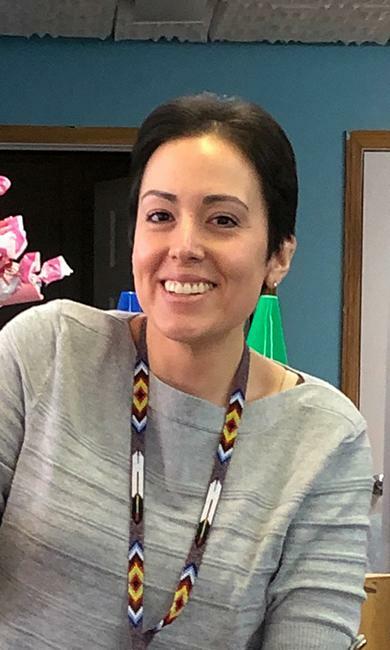 Please welcome her to the area and to the Tribal Government as you see her working in your Departments and Divisions. 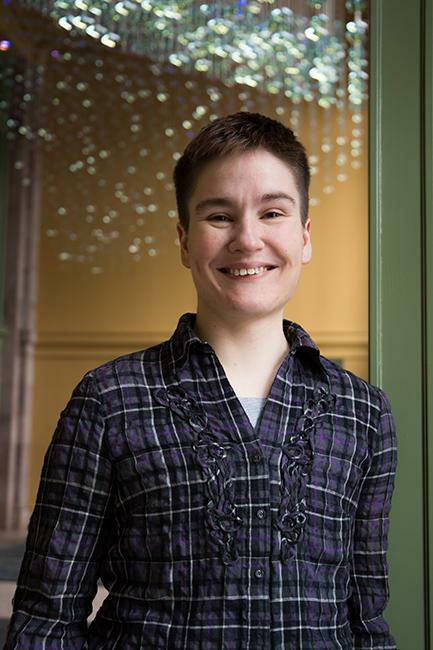 My name is Libby Aufderheide, and I'm an IT support engineer from Minneapolis. 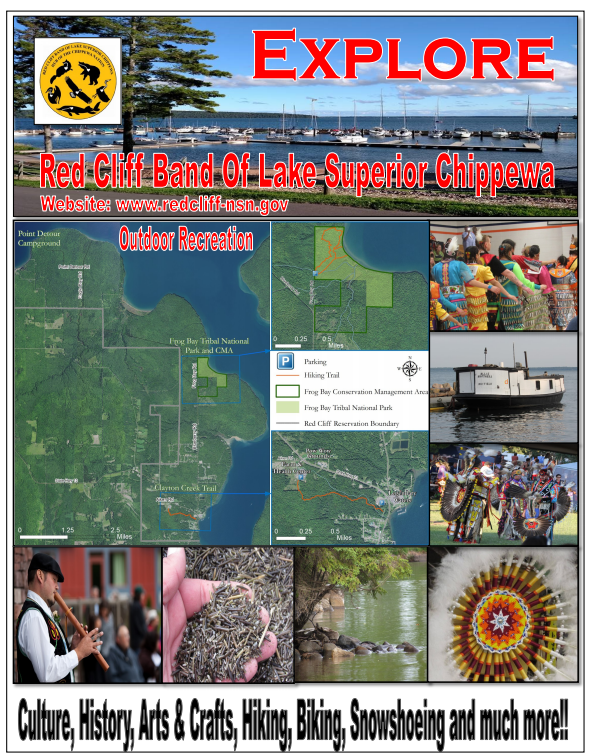 Before coming to Redcliff, I worked at a tech support company in the Twin Cities, and the Girl Scouts office for southern Minnesota. 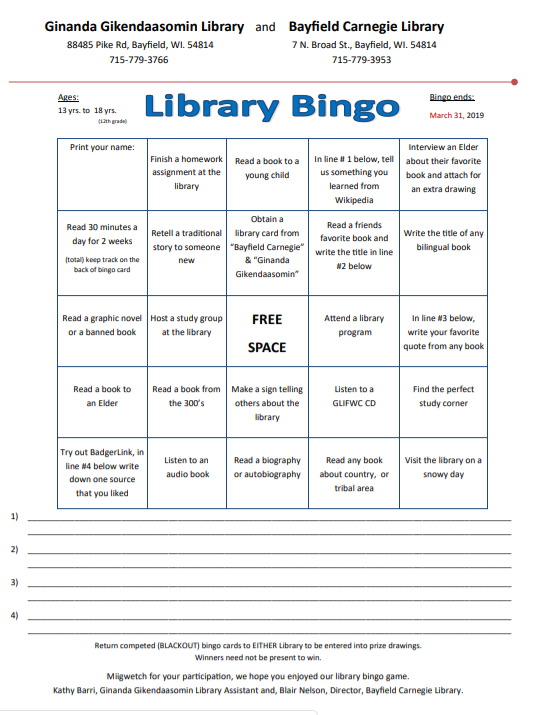 In my free time I like reading, playing video games, hiking, photography, and knitting. 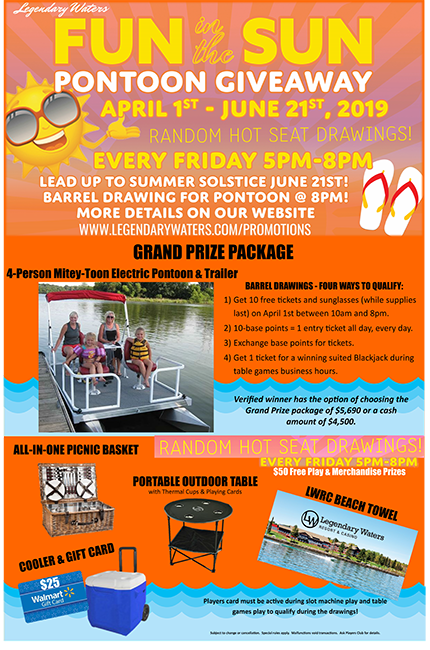 I spent many summers when I was younger sailing the Apostle Islands and the Great Lakes with my family. I look forward to being back up in the area again. 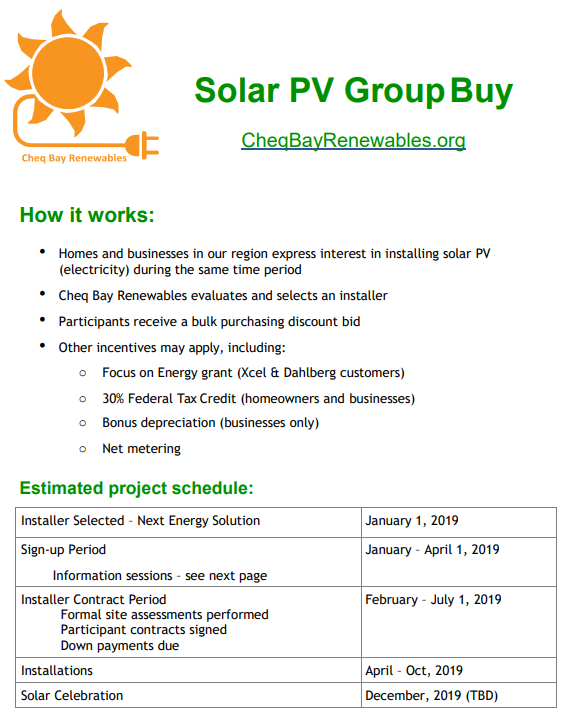 Click the link for the full brochure. 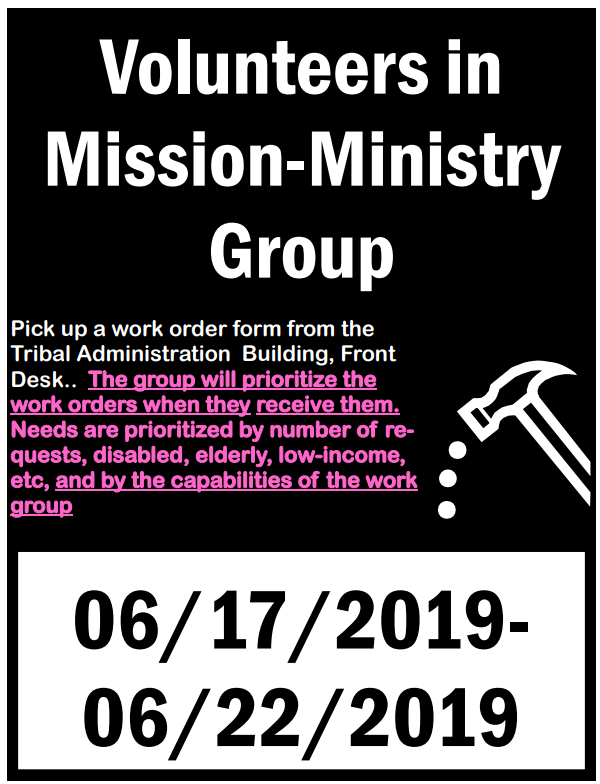 “Volunteers in Mission” Ministry Group is coming. June 17th . We need to prepare and gather data for work that they will be doing. 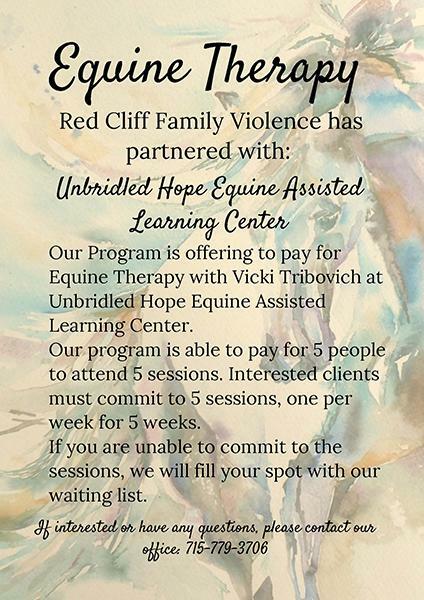 This program is not limited. The group offers free labor for a variety of projects. 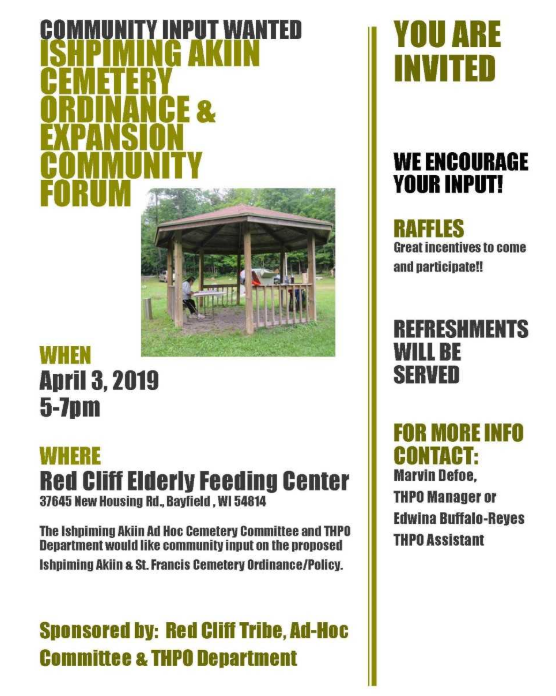 The service is extended community wide. 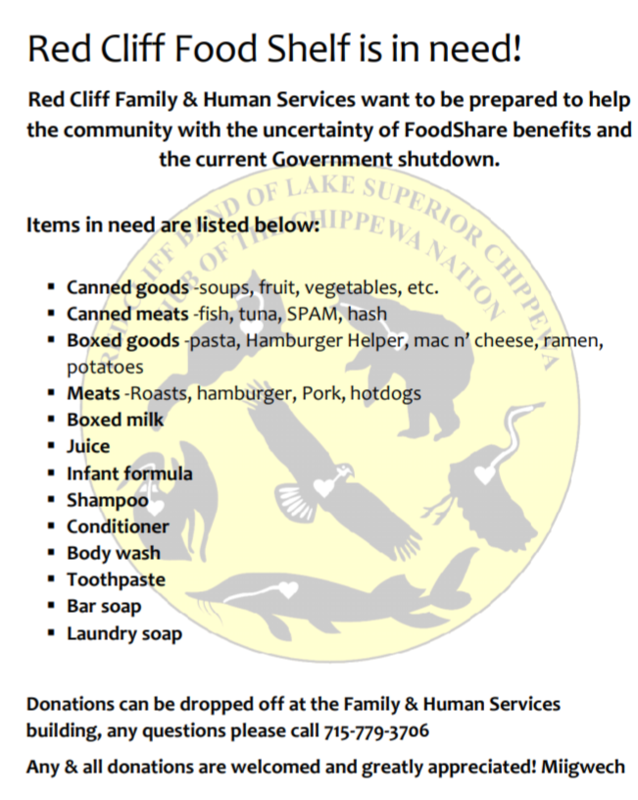 Needs MAY be prioritized based on number of requests and circumstances such as, disabled, elderly, low-income, and capabilities of the work group. 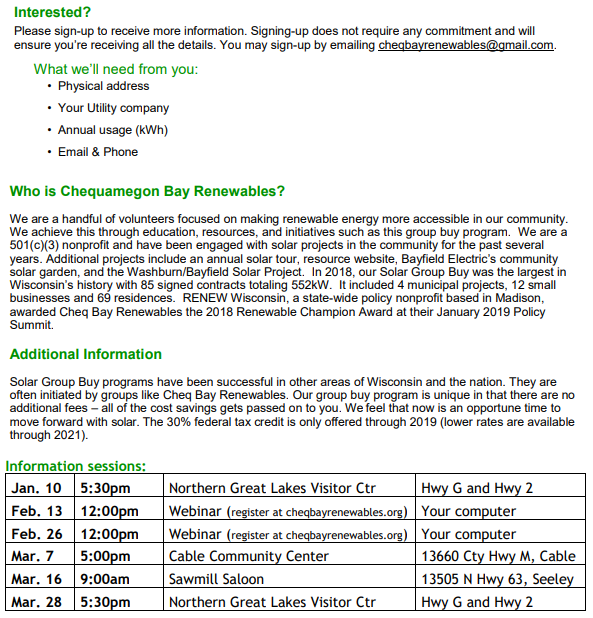 If you are interested in getting some assistance at your home or perhaps on a community venture, please fill out this form. 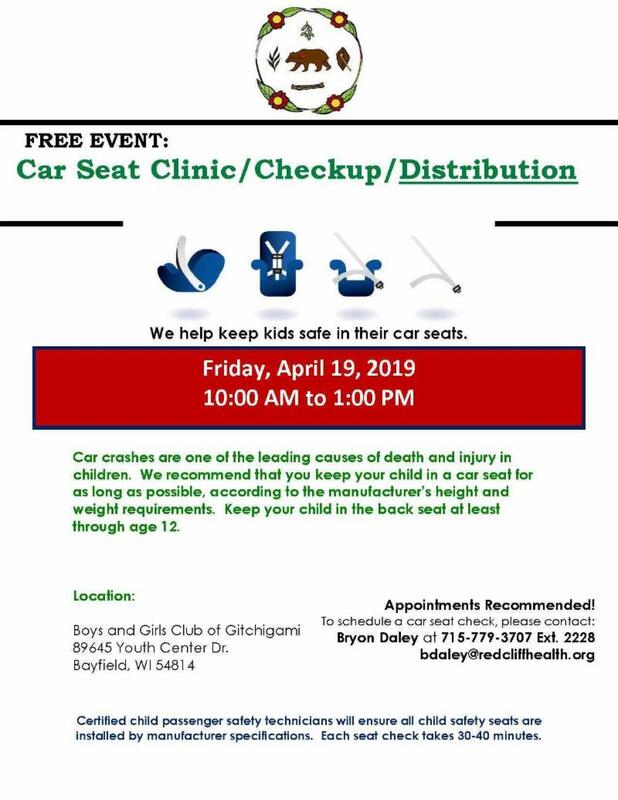 If you know of anyone that could make use of these services, please feel free to make a referral or assist the individual with this form. Completed forms should be returned to the Administration Receptionist. 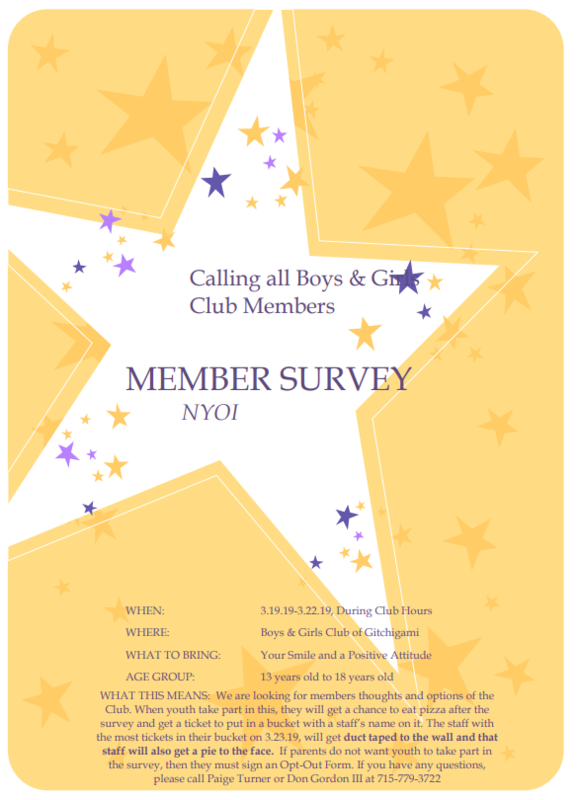 Click here to download the Work Order Form. 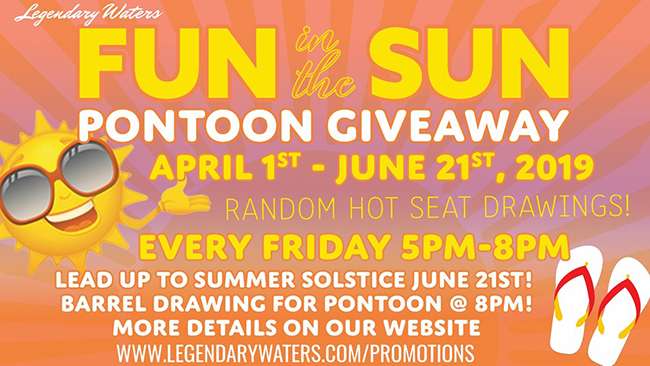 For more information and to view all promotions visit legendarywaters.com! 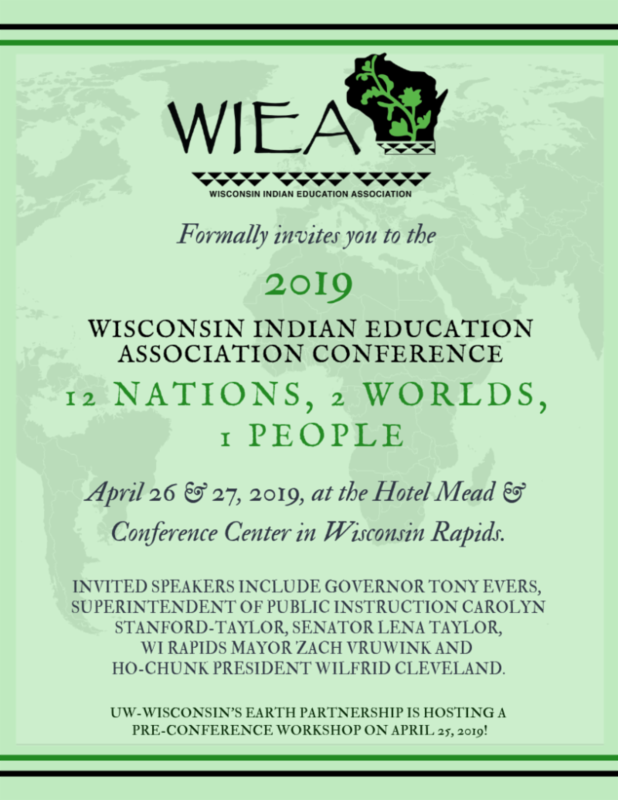 2019 Conference "12 Nations, 2 Worlds, 1 People"
Registration is now open for the Wisconsin Indian Education Association’s 2019 conference. 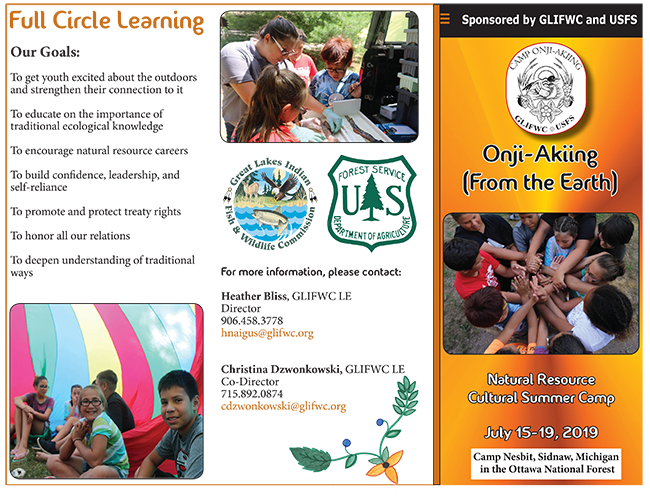 This year’s conference titled, "12 Nations, 2 Worlds, 1 People", takes a look at education from the perspective of Native students, offering insight into culturally relevent curriculum and learning styles. 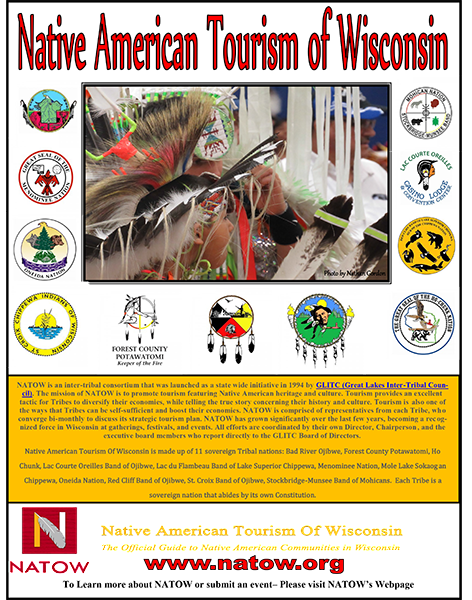 The conference will also provide an opportunity for individuals to learn more about Wisconsin’s first inhabitants and efforts to build culturally and historically accurate curriculum into Wisconsin Public Schools. 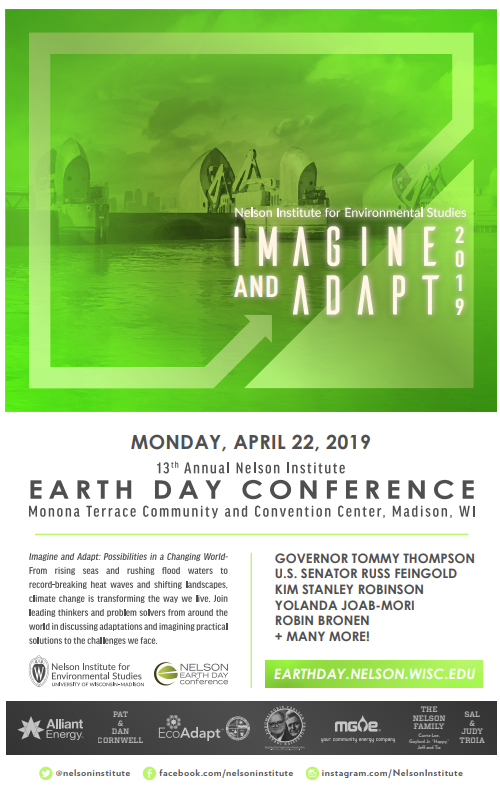 The conference will be held at the Hotel Mead & Conference Center in Wisconsin Rapids and will be hosted by WIEA’s Central Region. 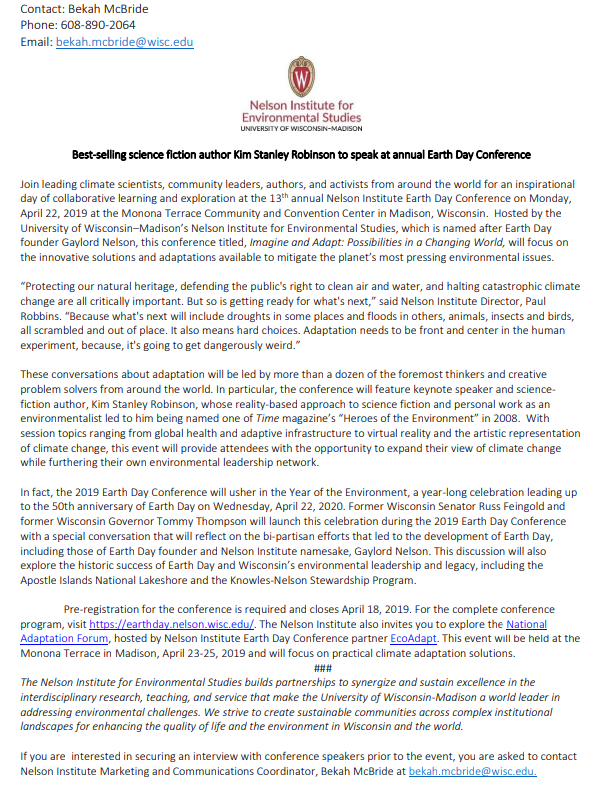 The event is scheduled for April 26 & 27, 2019, and includes a pre-conference workshop by UW’s Earth Partnership on April 25. 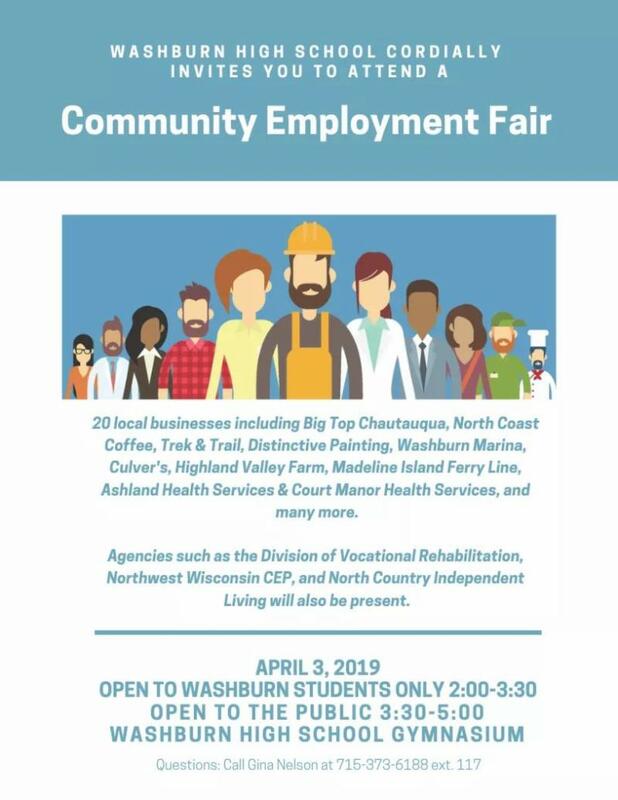 Wisconsin Governor Tony Evers will be on hand* to provide a welcoming, as well as a long list of other notables! 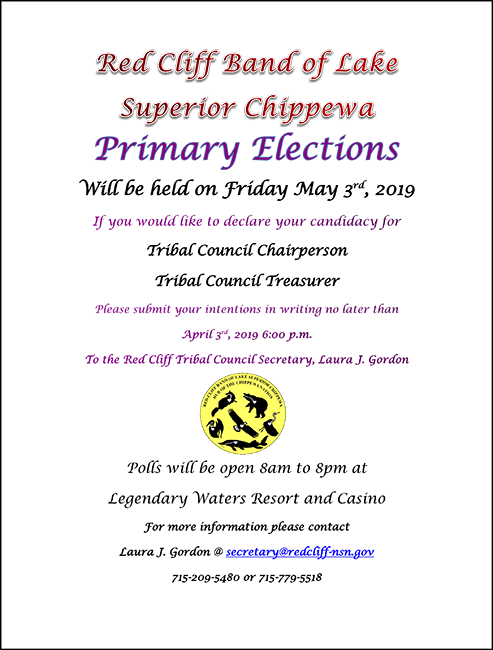 Senator Lena Taylor, Superintendent of WI Public Instruction Carolyn Stanford-Taylor*, Ho-Chunk Nation President Wilford Cleveland* and WI Rapids Mayor Zach Vrunwink are all scheduled to speak at this year’s event! 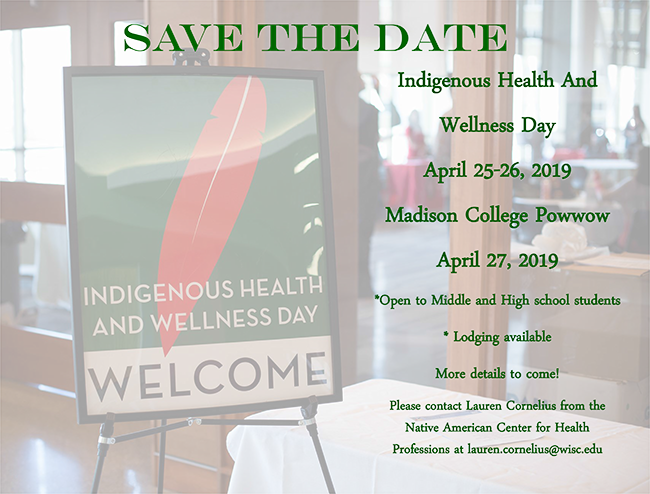 As always, the conference includes a a Youth Day Track on Saturday, April 27 for students and youth, conference pow-wow on Friday evening, April 26 and annual WIEA awards banquet on Saturday evening, April 27. 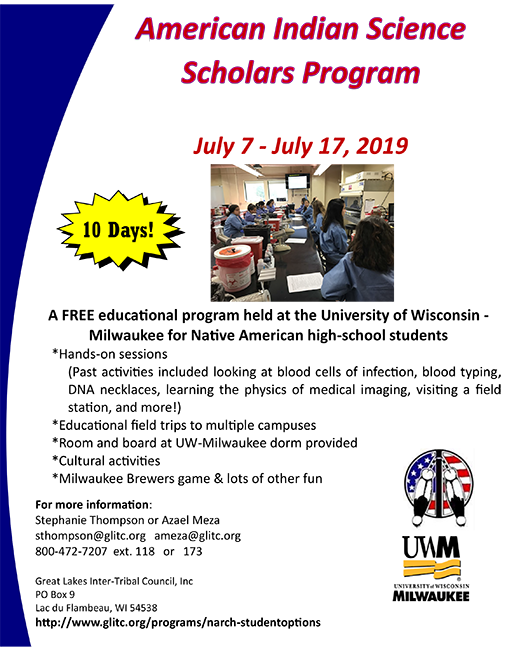 Don’t miss this fantastic opportunity to learn about all the latest in Native education in Wisconsin! 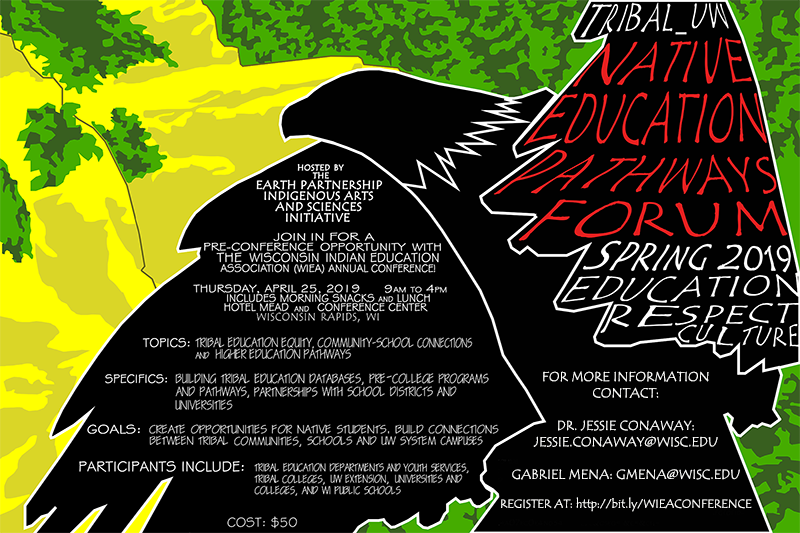 In the words of Native educator Ricky White, this event will be “glorious” in every aspect. 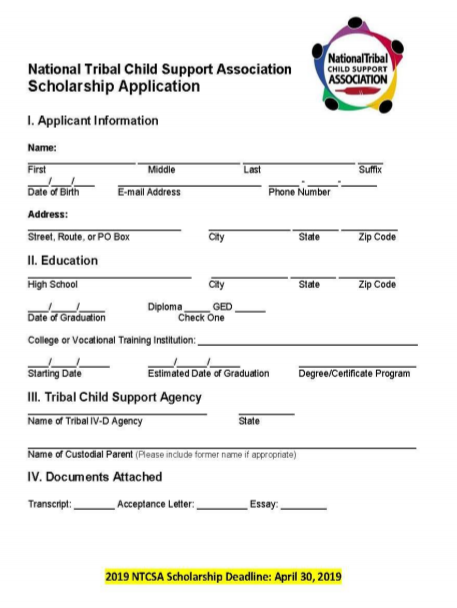 *All checks and money orders must be made payable to Wisconsin Indian Education Association. 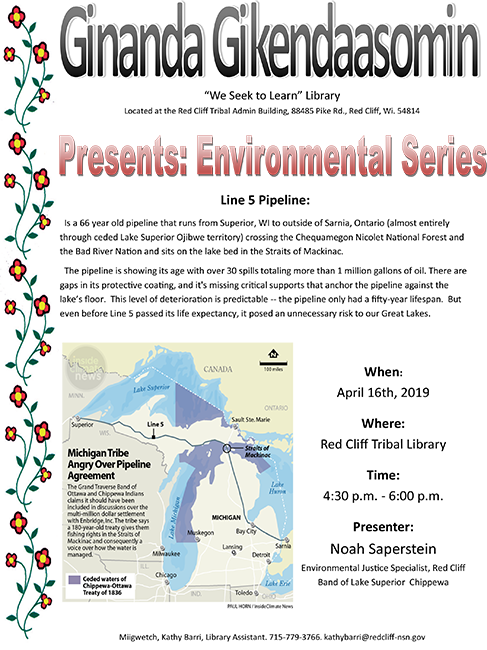 Click here for the PDF of the Save the Date! 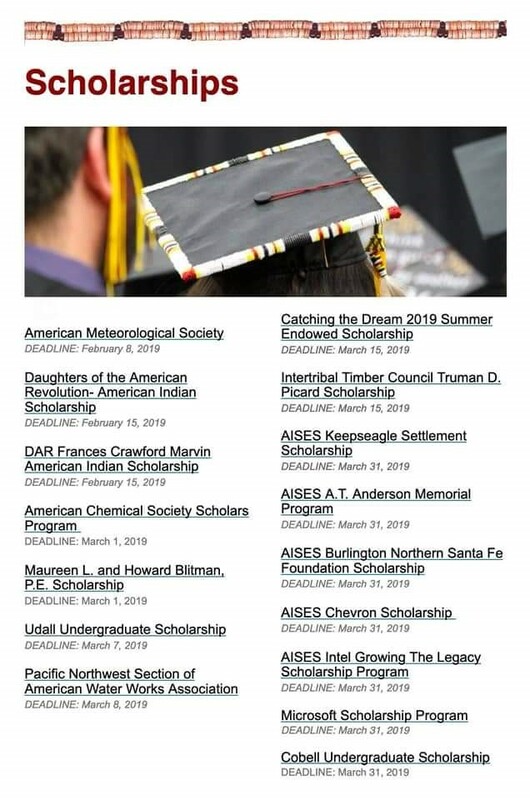 Red Cliff Education Department has compiled a list of Scholarships for Native American Students. 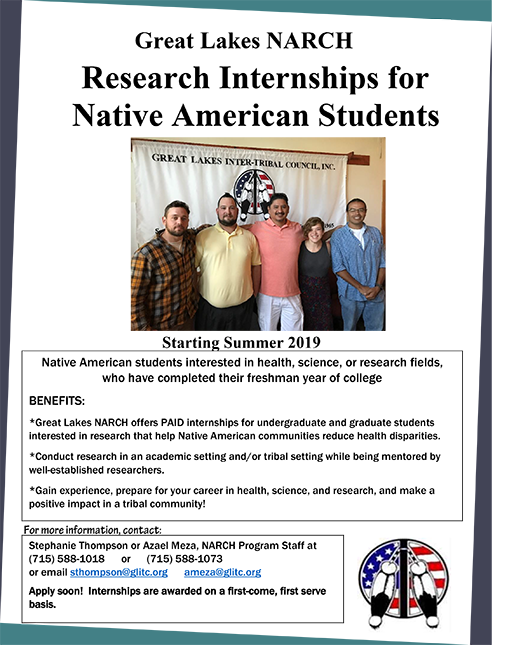 Capacity Building Grant (Enterprise) – Funds start-up of a Home-Buyer Assistance Program to faciliate the national Native American home-ownership initiative which increases Native American home ownership by making reduced cost mortgages available through new lending initiatives on tribal lands. RCCHA was selected as a financial intermediary to provide home-buyer education, counseling and liaison to lenders. Grant provides down-payment/closing cost assistance for 10 new home-owners, and funding for a Housing Counselor. 2 year grant-$50,000 (our match is $150,000). 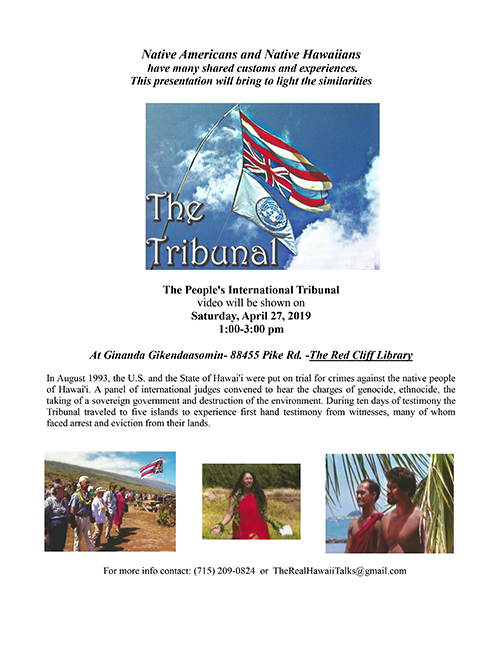 Notice of Award: 9/17/2018. 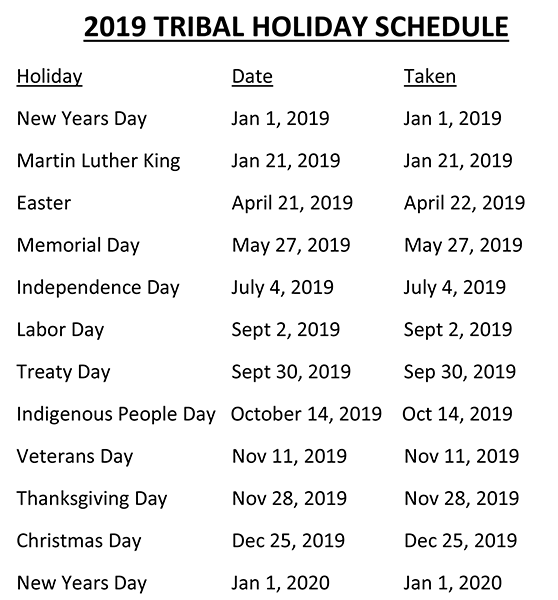 Resident Opportunity & Self-Sufficiency (ROSS) Grant (HUD) – funding for a ROSS service coordinator; focus – provide supportive services to tenants with substance abuse issues to prevent eviction/homelessness. 3 year grant-$220,089 (our match is $84,750). 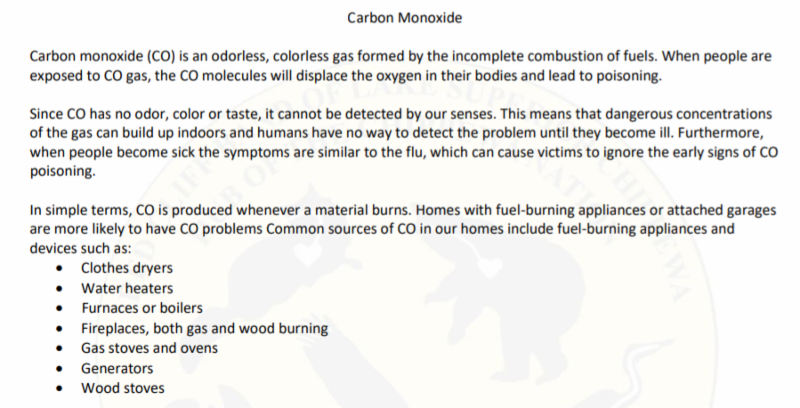 Notice of Award: 12/21/2018. 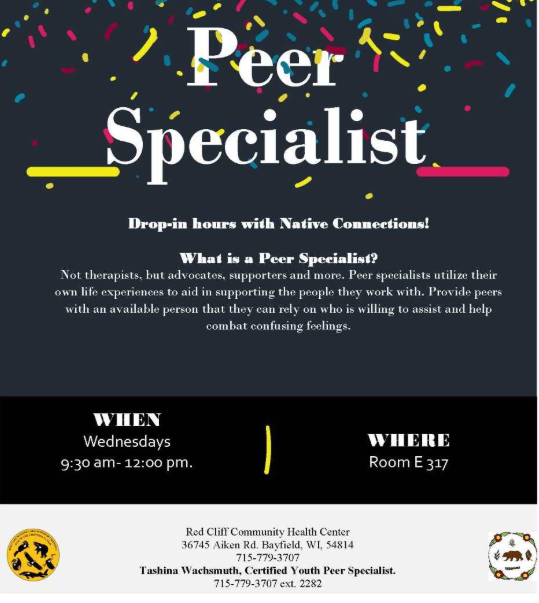 YouthBuild Grant (DOL) – Partner in a grant with Northwest CEP, Bad River Tribe and Workforce Resource (Menomonie) to connect at-risk youth to employment and training opportunities. YouthBuild program helps at risk youth complete high school or equivalency degree programs, earn credentials for family-supporting jobs and receive training to build housing for low-income, homeless or families in their communities. 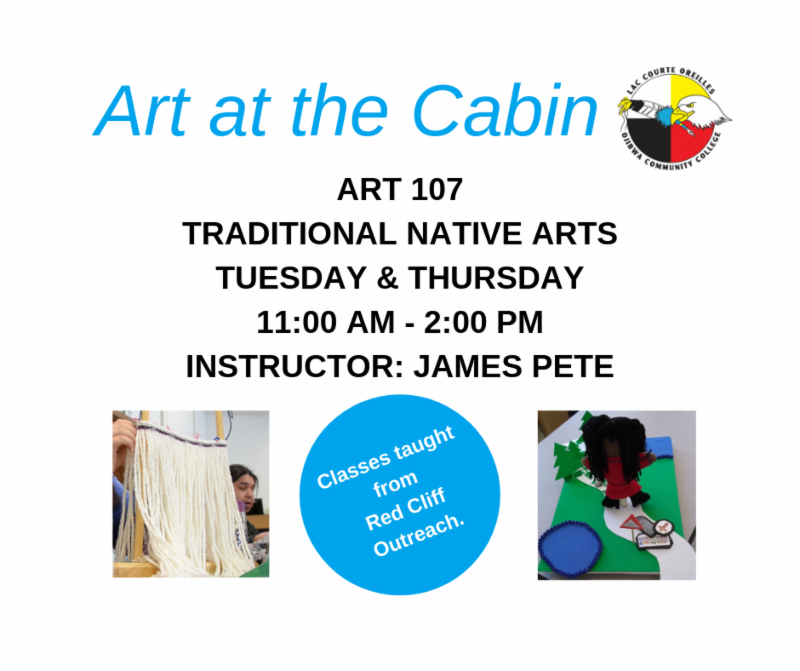 Will provide 10 tribal members at each reservation (5 per year for 2 years) with training and hands-on experience building a house. 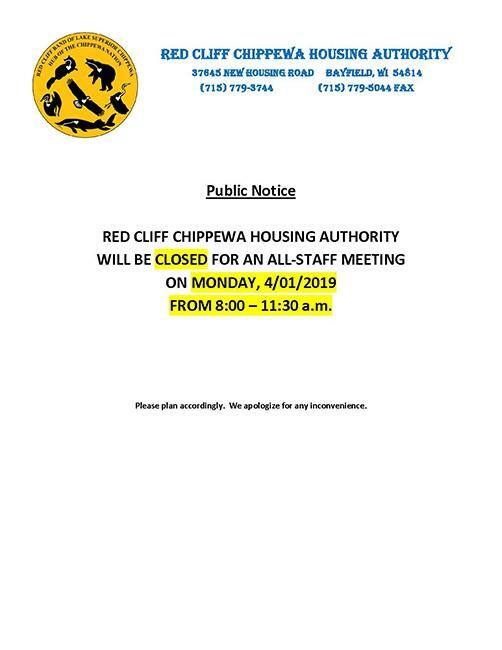 RCCHA intends to build one 2-BR single family unit with this grant. 2 year grant - $1.1 million total award (our match is $75,000-$100,000 in building materials). 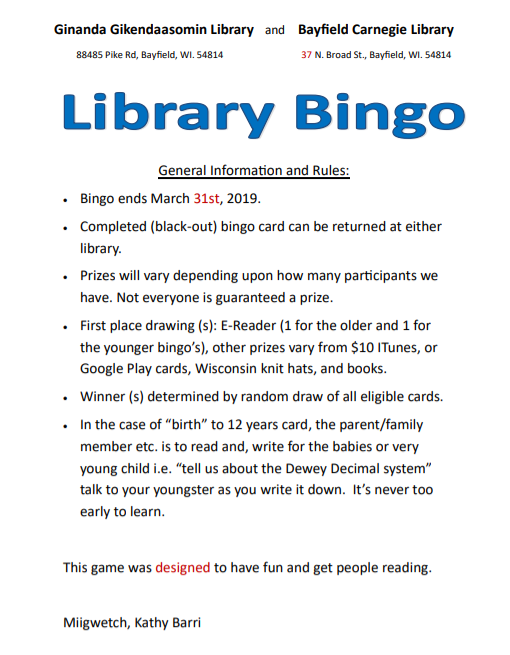 Notice of Award: 01/31/2019. 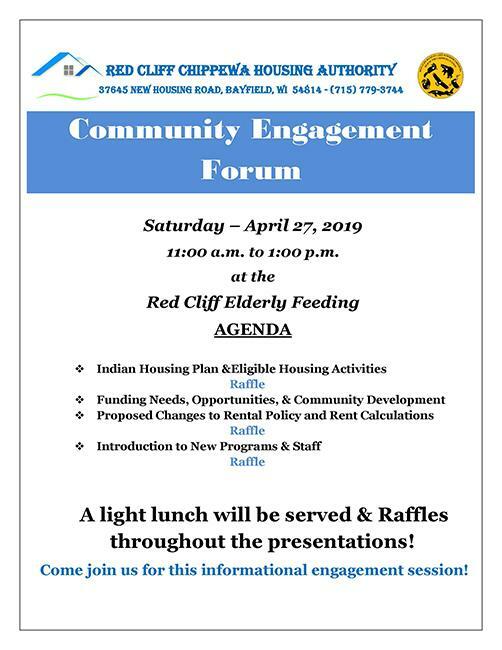 Questions, comments and concerns will be heard by the Housing Board on the final proposed changes to the rent policy on February 20th at the Housing Board Meeting in the Elderly Feeding Center. 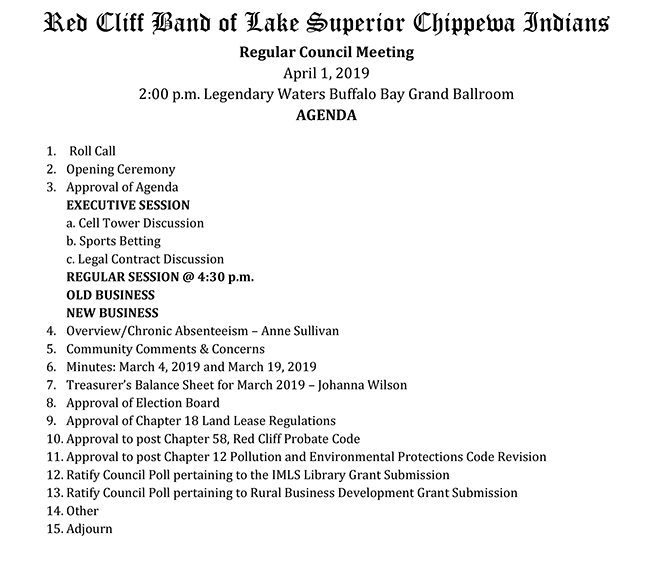 Implementation of a minimum monthly rent rate of $50.00 per month. Implementation of a rent ceiling (max) of $400.00 per month. 10% increase in AMI (annual median income) rate used in income-based rent calcs (from 20% to 30% AMI). Change in service level for over-income tenants. 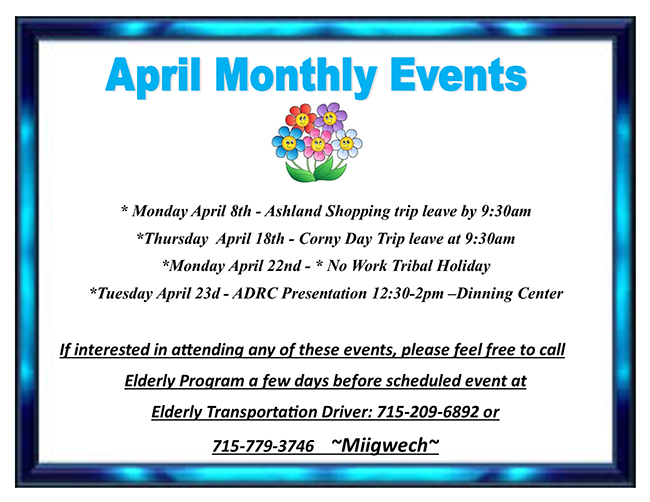 For more information, contact Colleen Hyde, Housing Services Manager. 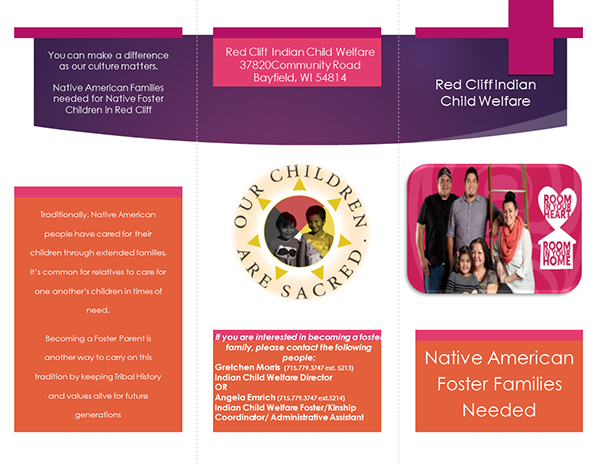 The Red Cliff Indian Child Welfare Office provides services to families. 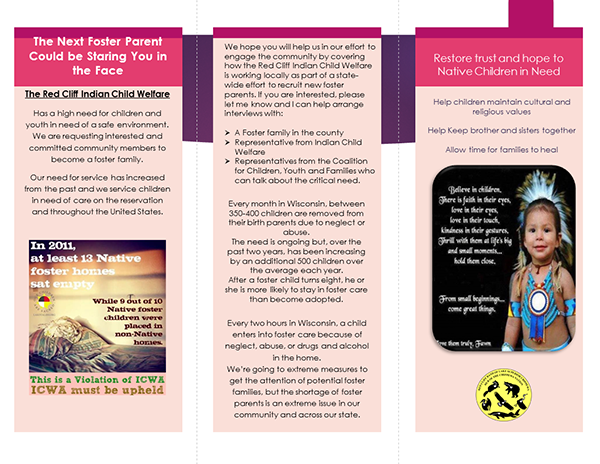 Foster Care is an important piece to keeping our Indian children in their culture and community. 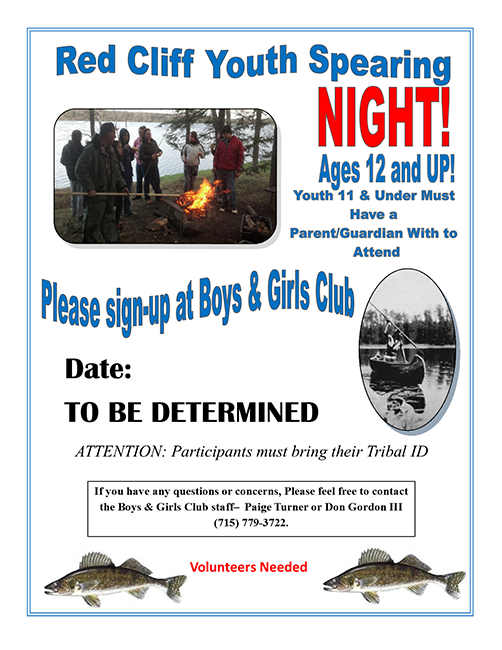 We are looking for families interested in participating in our Foster Care program. 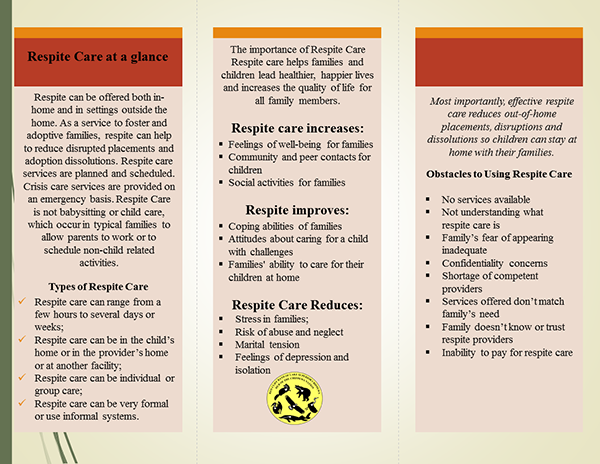 Another program is our Respite Care Program. 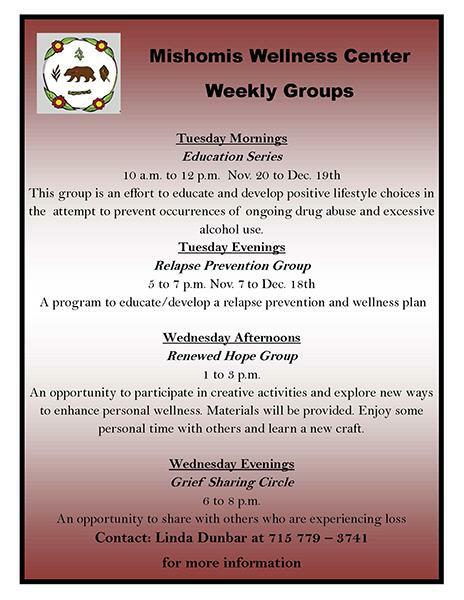 This program provides relief for family members who need a break from the rigors of caring for others. 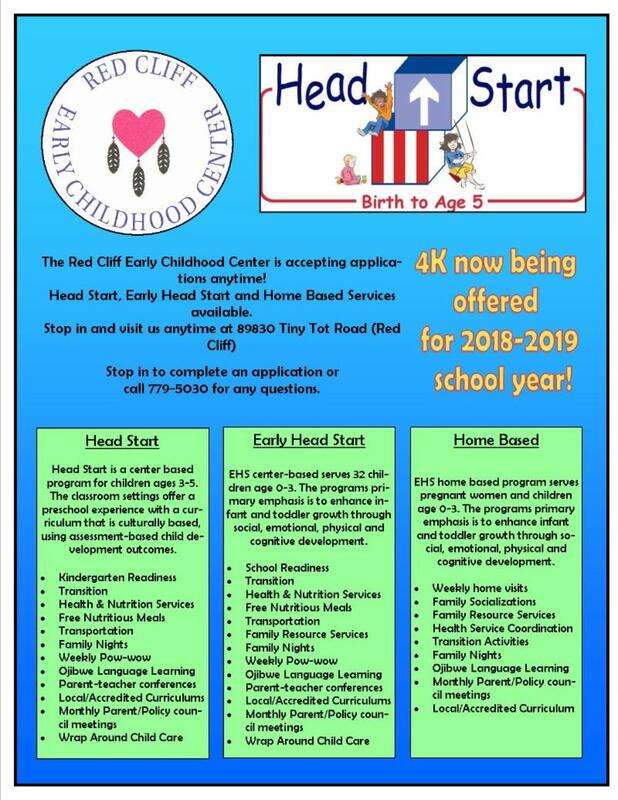 This program is important in keeping our families happy and healthy. 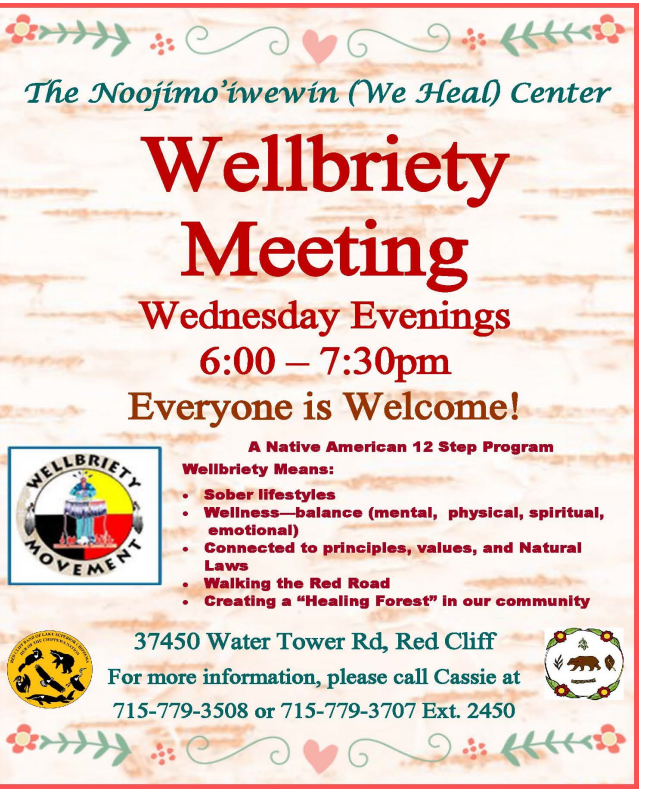 To learn more simply contact the Red Cliff Community Health Center for more information. 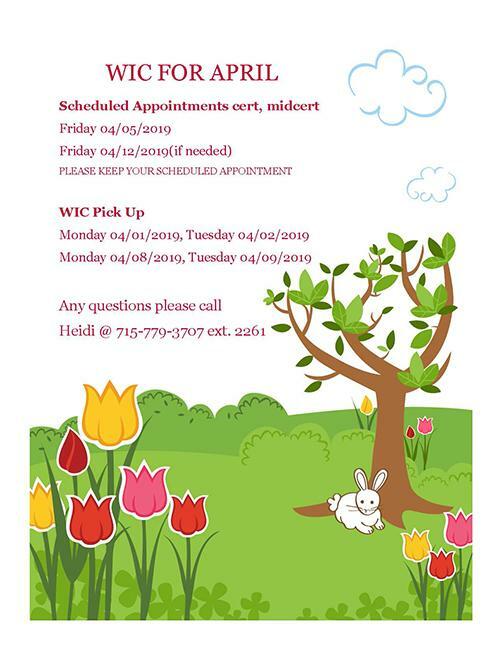 Click here for the WIC April PDF! 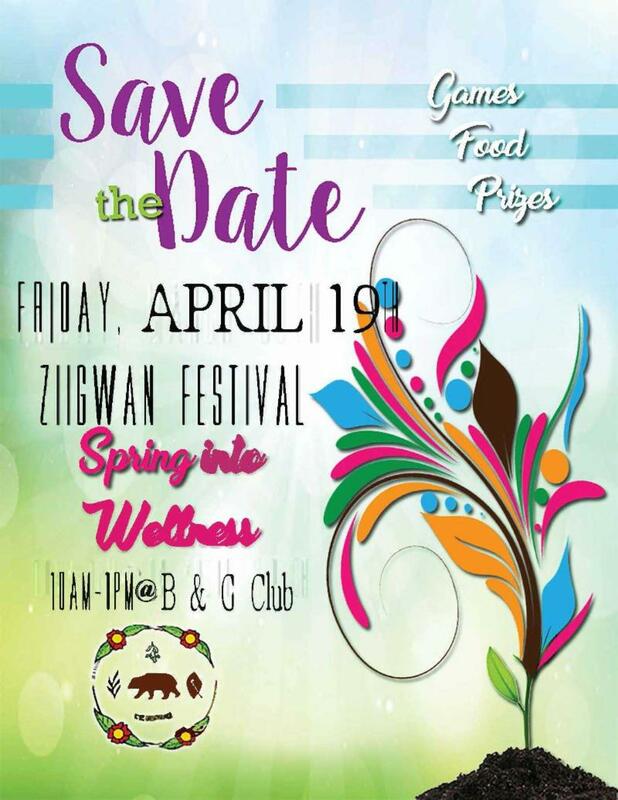 Click here for the PDF of the Red Cliff Community Health Center's Ziigwan Spring Gathering! Have you ever wished you could ask your provider a question, access your test results, or review your health history at your convenience? The Red Cliff Community Health Center (RCCHC) now offers secure, no cost, online and convenient access to your personal medical records and health care provider 24 hours a day. Signing up for My Personal Health Record (PHR), enables you to manage your health information, remain informed, communicate more effectively and easily with your health care provider. Access your health information 24 hours a day from the privacy of your personal computer and mobile device. Remain informed and communicate more effectively and easily with your health care provider. View portions of your medical records including lab and test results, referrals, current medications, current diagnosis, allergies and immunization history. 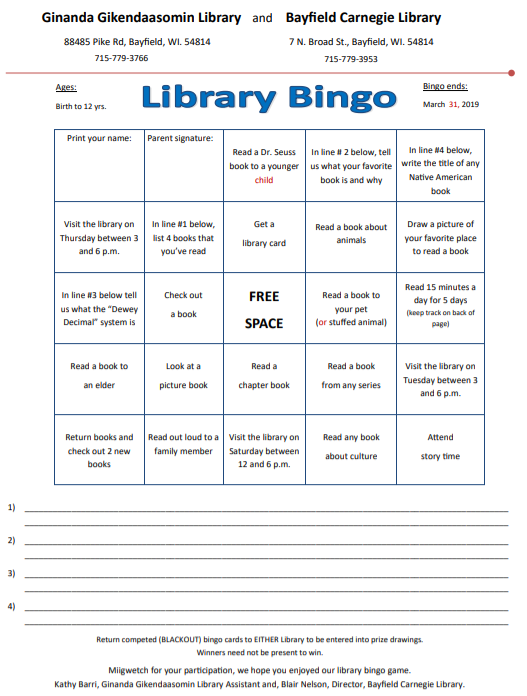 Easily download and print information for your records. 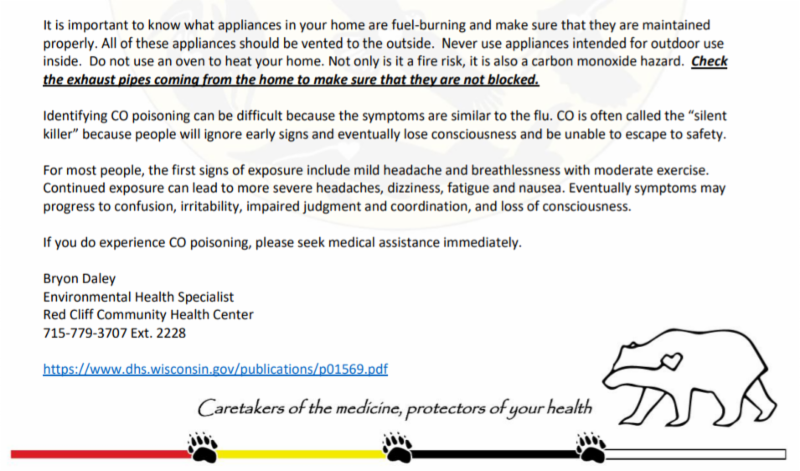 Communicate directly via email with your health care provider. Sign up for PHR during your next Clinic visit. 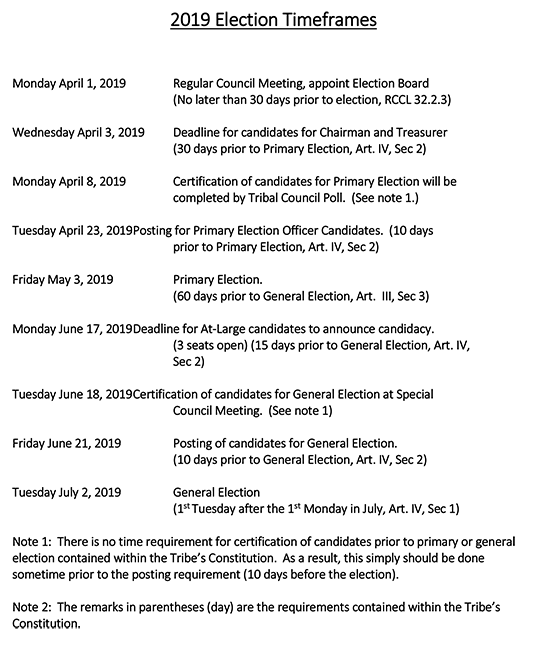 Completion of an identity verification form is required. Visit the PHR website (https://phr.ihs.gov) and select “Register” to create your account. During your next visit to the Red Cliff Community Health Center, complete an authorization form and verify your PHR account setup by presenting your identification. 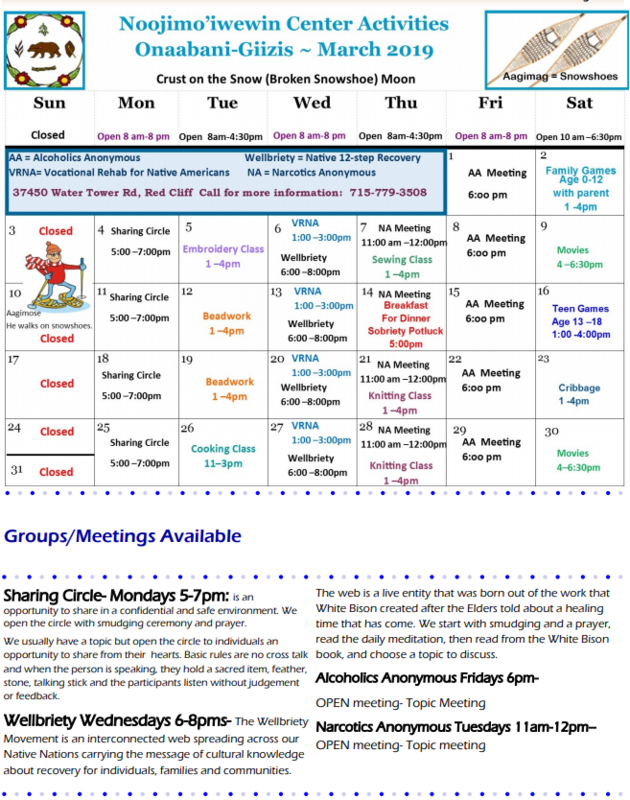 Open Monday-Friday 8:00 am-4:30 pm ~ Closed Saturday, Sunday and Holidays. The greatest gift can give yourself is a healthy you! 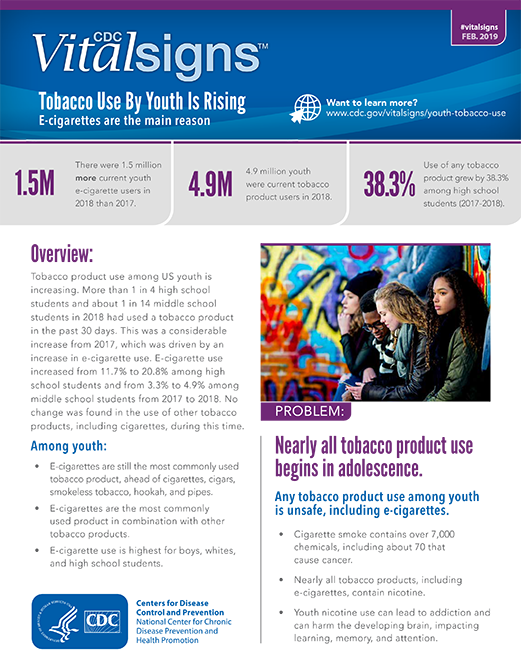 Smoking with children present continues to be a community-wide issue. It is very disappointing to see parents smoking inside a car with children present or to hold a baby that smells like cigarette smoke. 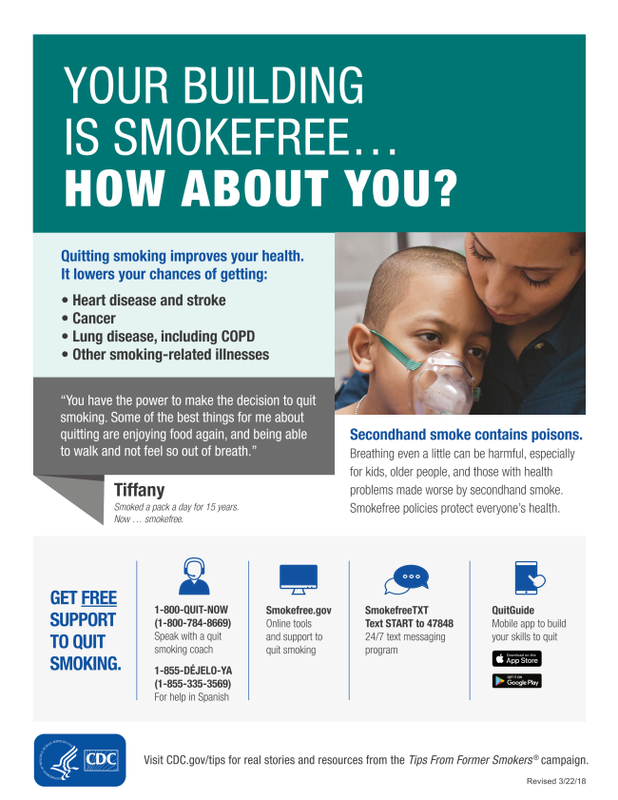 The health risks go up the longer the pregnant woman smokes or is exposed to smoke. Quitting anytime during pregnancy helps—of course, the sooner the better. 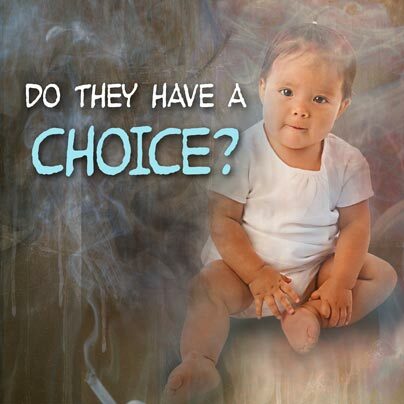 All pregnant women should stay away from secondhand smoke and ask smokers not to smoke around them. 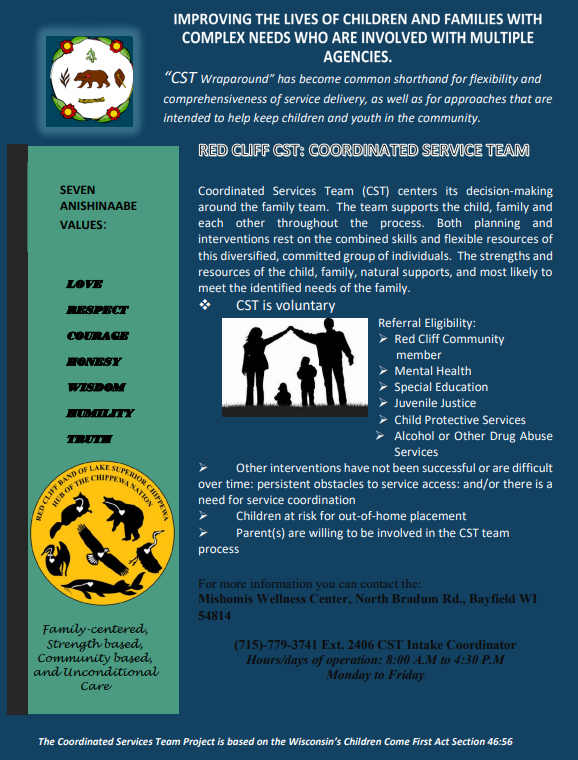 Comprehensive Community Services is a voluntary program that provides services to children and adults who have mental health or substance abuse issues. 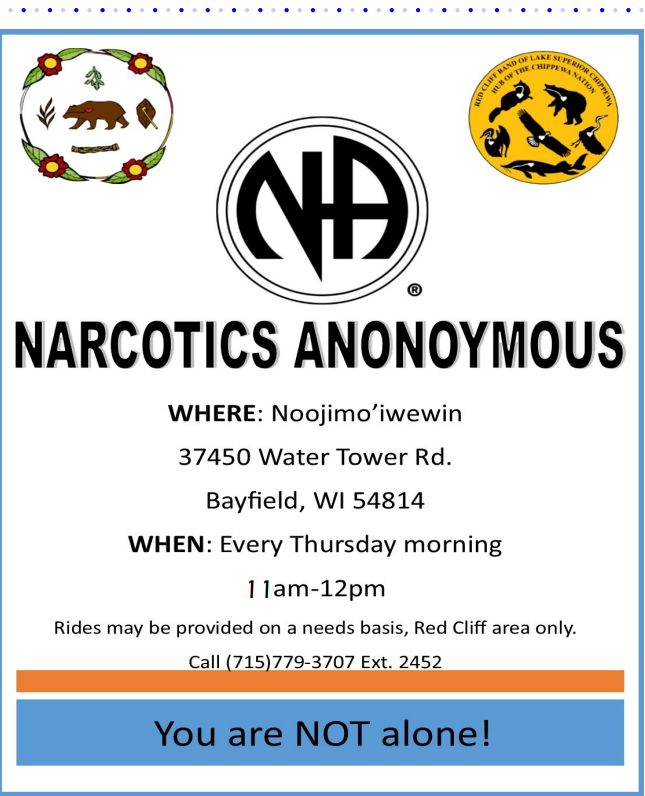 Services are individualized offering an array of Red Cliff Tribal and Bayfield County Services. 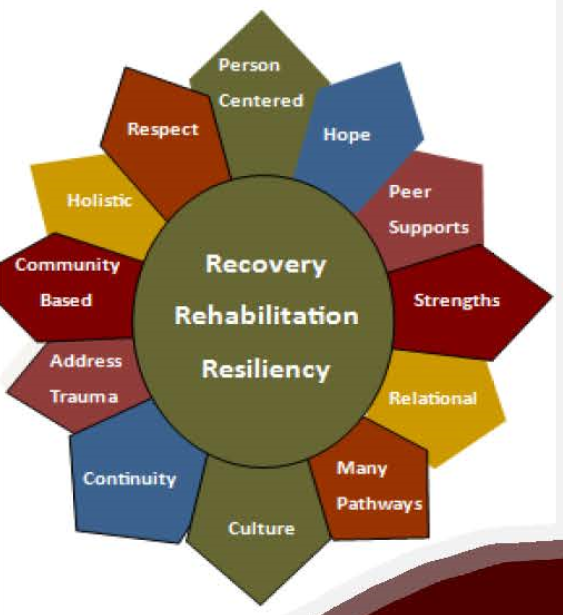 Services are client directed, recovery oriented and strength based. 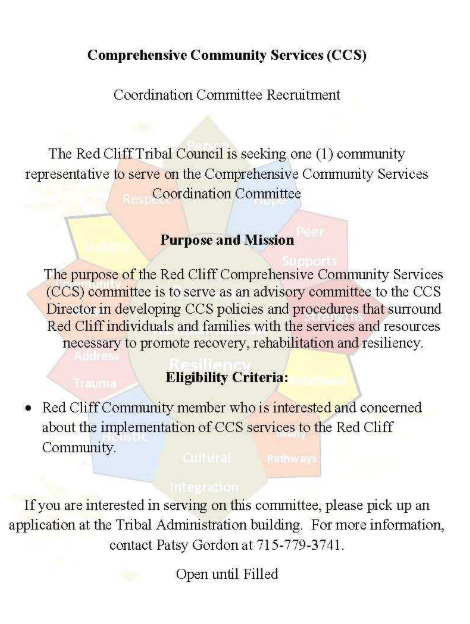 The Red Cliff CCS program provides services to Red Cliff Tribal members and Red Cliff Community Members within reservation boundaries and Bayfield County. 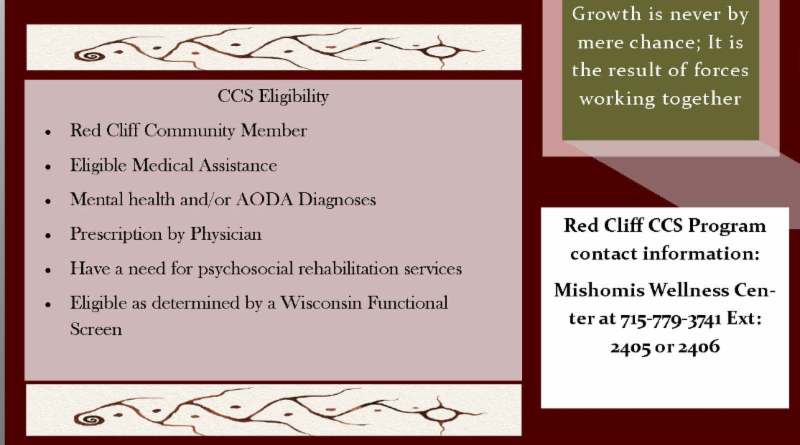 Services are covered by Medical Assistance through Wisconsin's Comprehensive Community Services. Services are not time limited. It is the vision of CCS to support, participants to achieve maximum independence, ultimately resulting in discharge from CCS. Individualized criteria will identify what circumstances discharged should occur. Establishing Paternity (Legal Fatherhood), Establishment of Child Support Obligations, Enforcement of Child Support Obligations, Modification and/or Review of Child Support Orders, Location of Parents and Case Management Services. 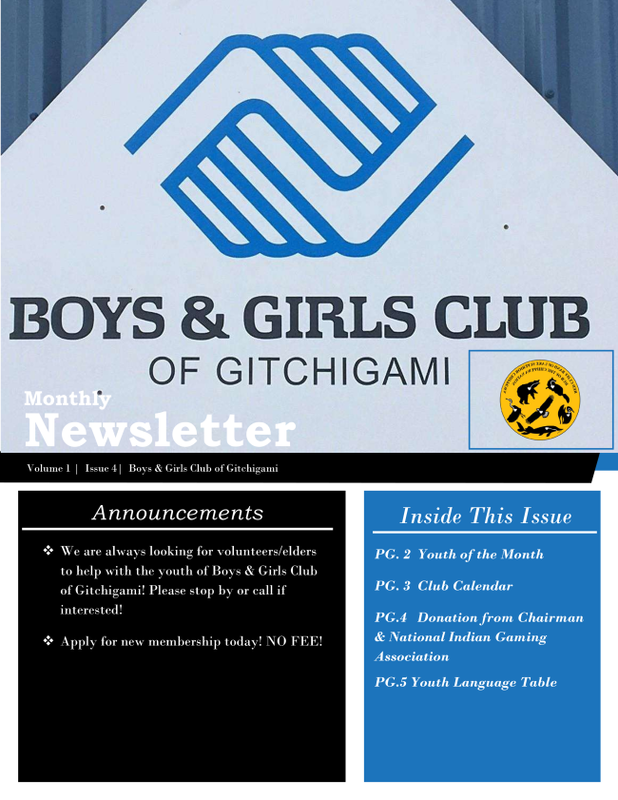 Click here to view the January 2019 Boys & Girls Club of Gitchigami newsletter in its entirety. 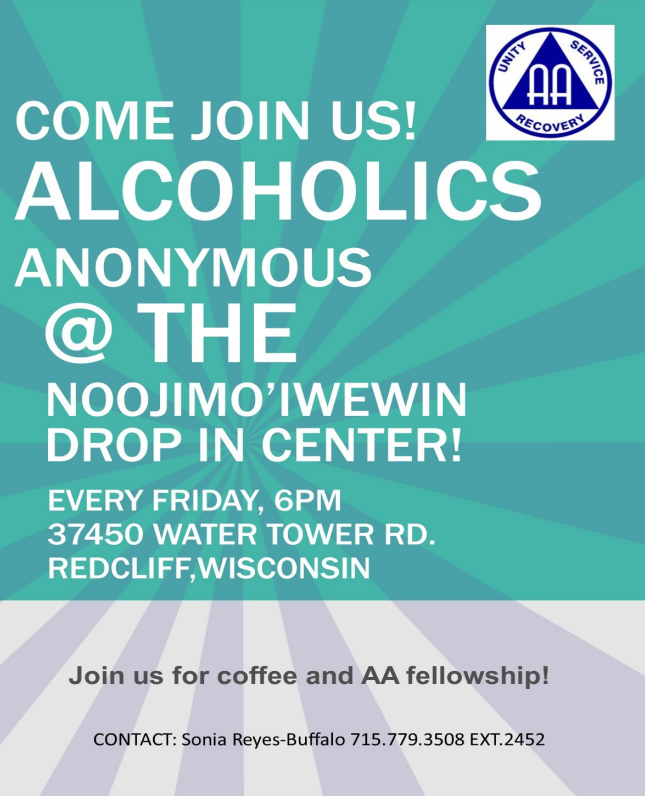 RED CLIFF, WI - An office is only as good as its staff, and we have some of the best in the Treaty Natural Resources Division. The following team members were nominated for Employee of the Month in the last three months by their colleagues. Allissa transferred from the Environmental Department to her new position on the farm last fall. She was nominated by our new Environmental Justice Specialist (Noah) for the amount of assistance she gave in getting him up to speed as he learned the job she used to have in TNR. 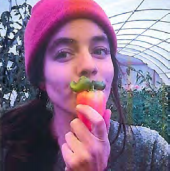 Allissa also deserves credit for taking on a lot of different winter initiatives at the farm to be better organized and prepared for the upcoming garden, orchard and sugarbush season. I’m confident we’ll continue to advance food sovereignty and local food access with Allissa at the helm. Ian is approaching his first full year working for the Tribe. Modern fish stock management requires a very specialized skillset, and it’s been a pleasure to have Ian around performing that role for the Treaty fishery. He has updated our sampling protocols, finalized assessment reports, and has taken on a number of boat repair/maintenance projects as well. Thank you Ian for your dedication and hard work! 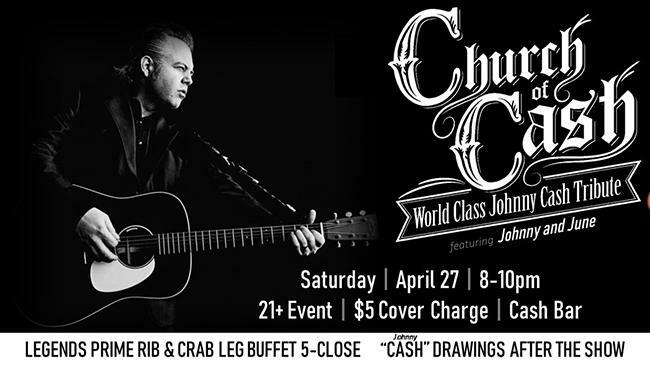 wildly popular (pun intended) on Red Cliff’s Facebook page. 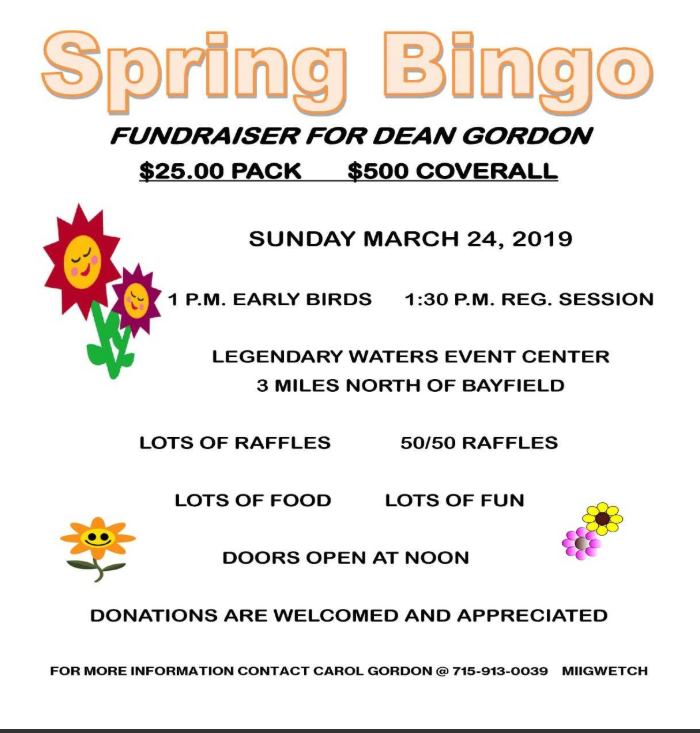 Check out the Spring 2019 Ganawenjigaade here: Click here . 1. 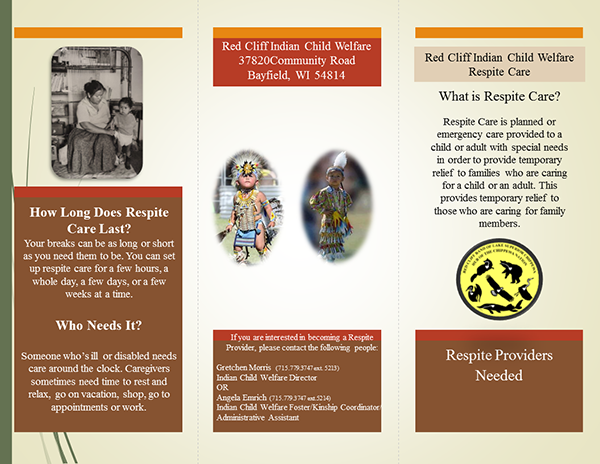 Completed Tribal Application, to include work history and references; available on the tribal website. 2. 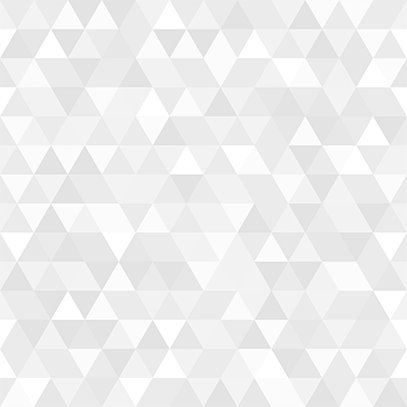 Completed Tribal Background Investigation Disclosure; available on the tribal website. 3. Cover letter and resume. 4. 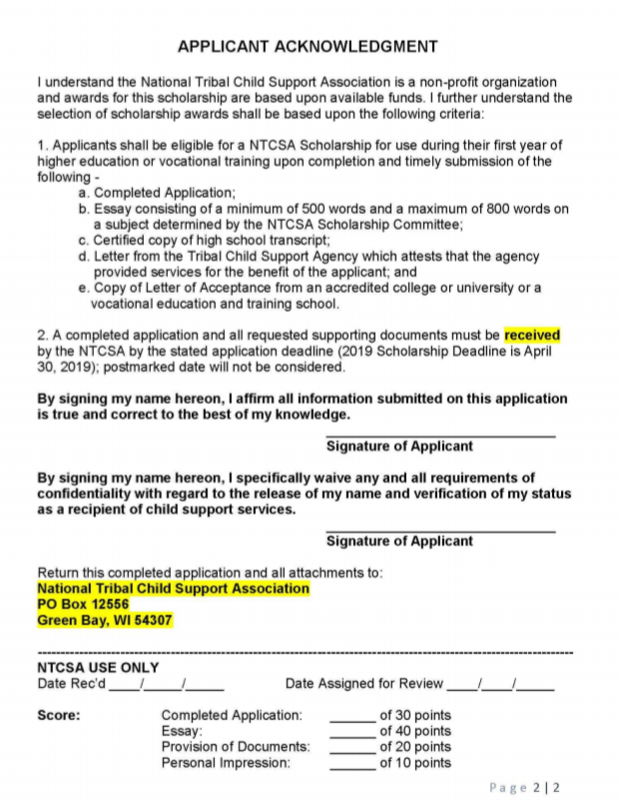 Post-secondary transcripts or certifications; if applicable. 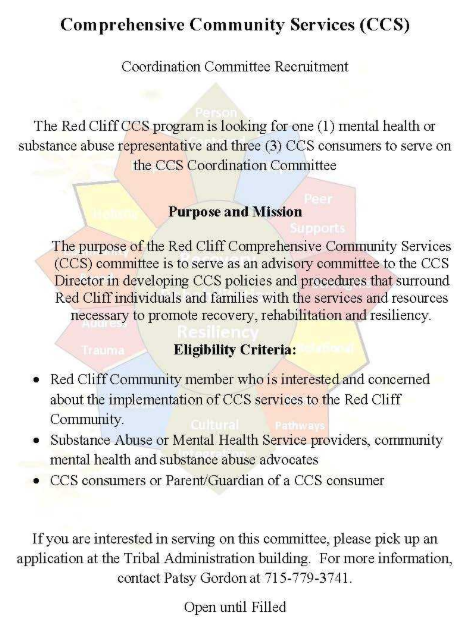 CCS provides services so individuals of all ages (Youth and Elderly) living with either a mental illness and/or substance use disorder. 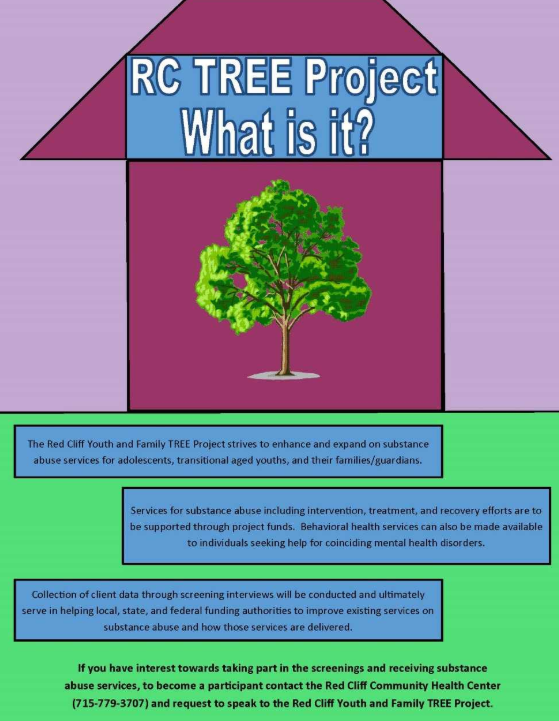 The individual will work with a team of service providers to develop a treatment and recovery plan to meet the individuals unique needs an goals. 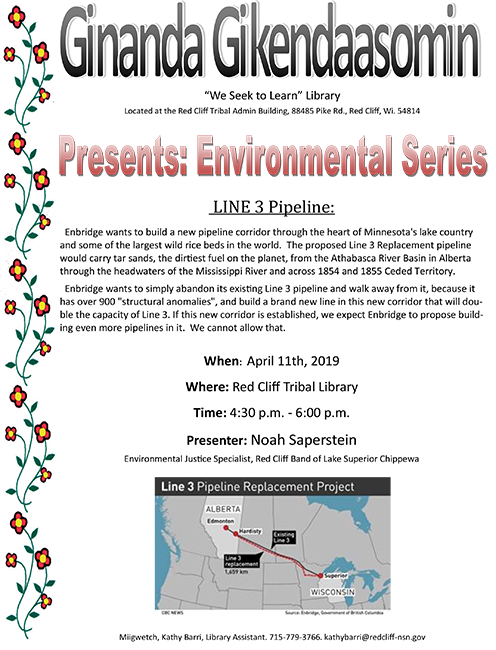 (1) Consumer and Community Rep. to serve the CCS advisory committee. 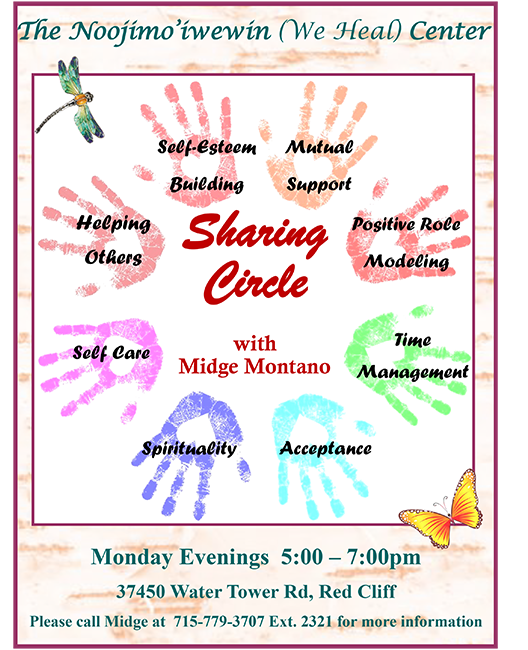 Individual who is receiving Mental Health and/or AODA services. 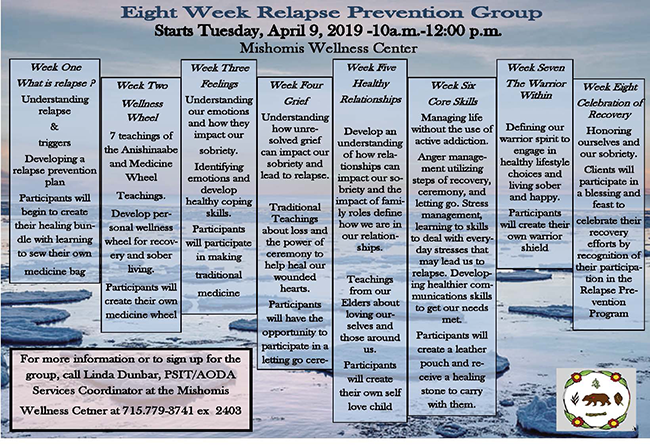 Parents / Guardians of Individuals receiving Mental Health and / or AODA services. Posted until all committee representatives are filled.